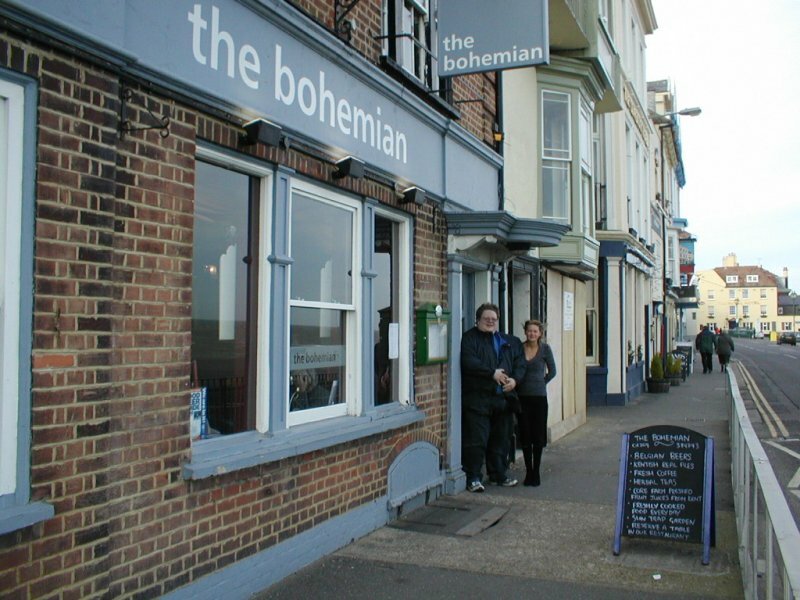 It was a nice sunny Winters afternoon when we went to Deal on Wednesday 31st Jan. Pubs we went into were The Kings Head, The Bohemian, Clarendon, all around the seafront area, in Middle Street The Ship Inn, here you'll always find a great selection of ales, and our last port of call was in Duke Street at The Hoy. 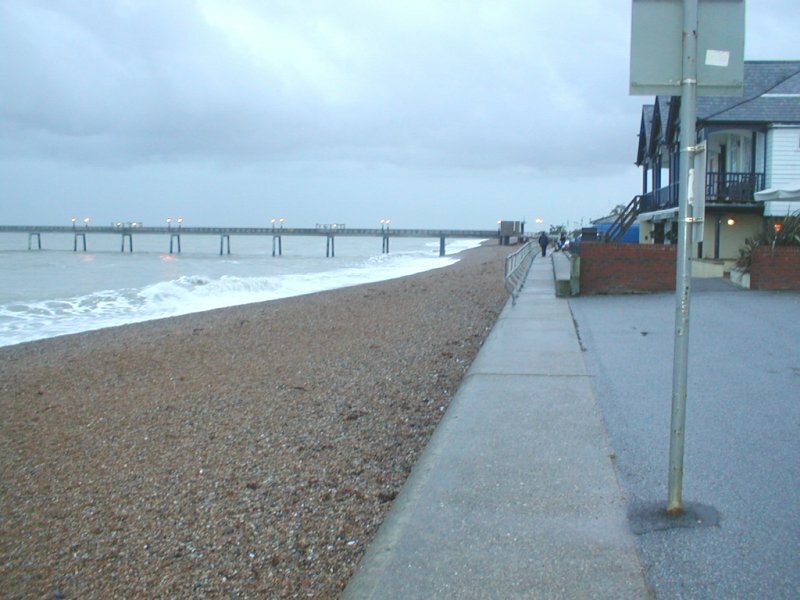 Here's a few more pictures from Deal and Sandwich taken Mid March. 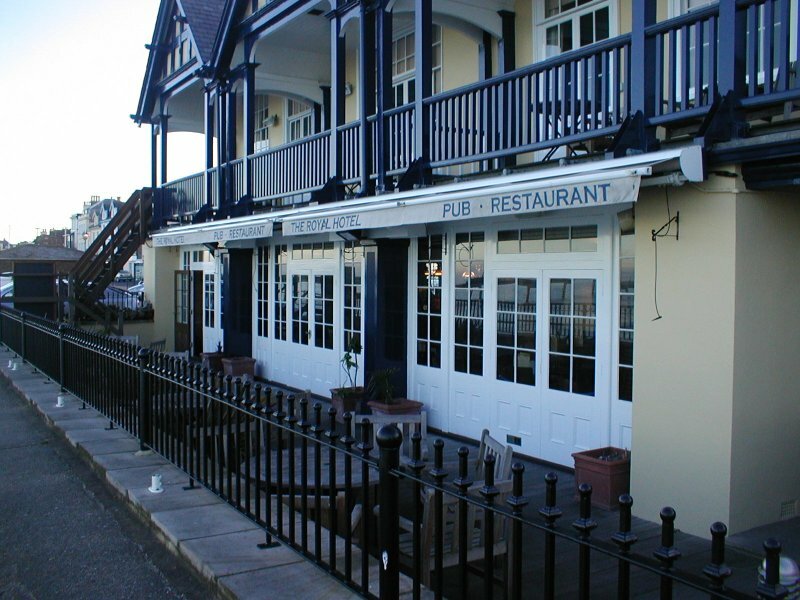 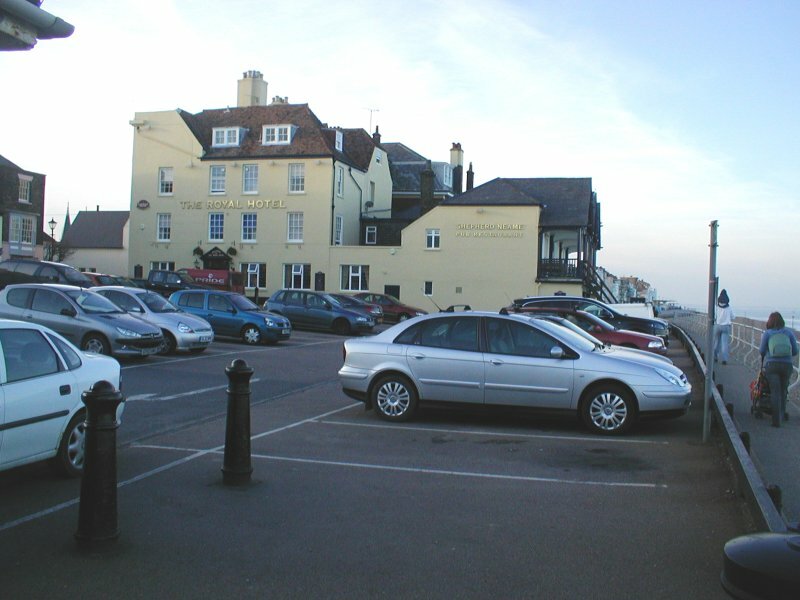 First are of the Royal Hotel right on the sea front, some nice food and once again well kept Sheps ales. 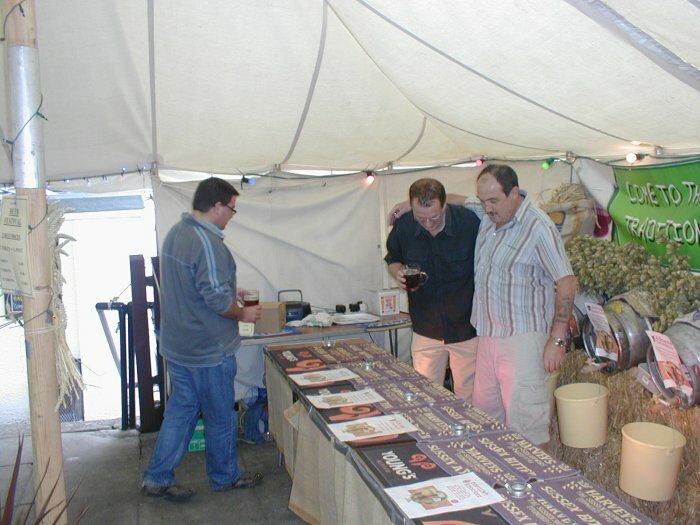 Got some more photos of tours over the past month. 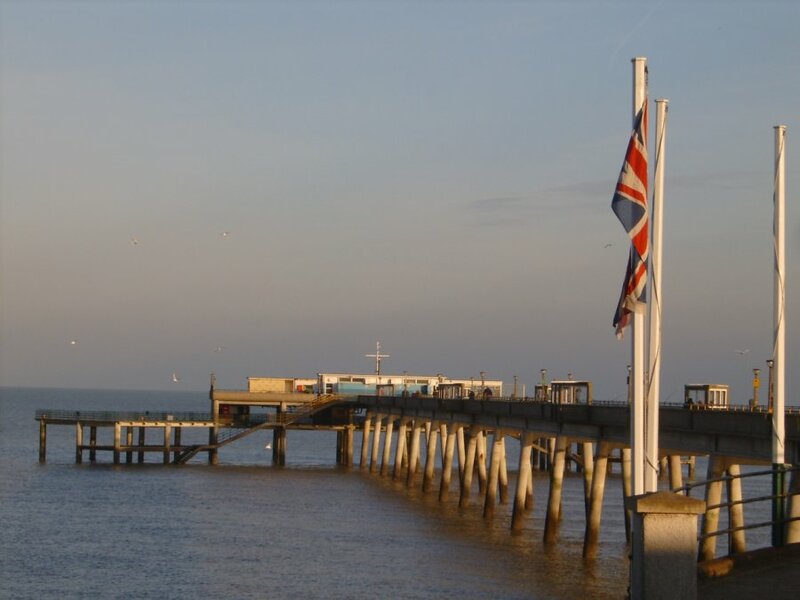 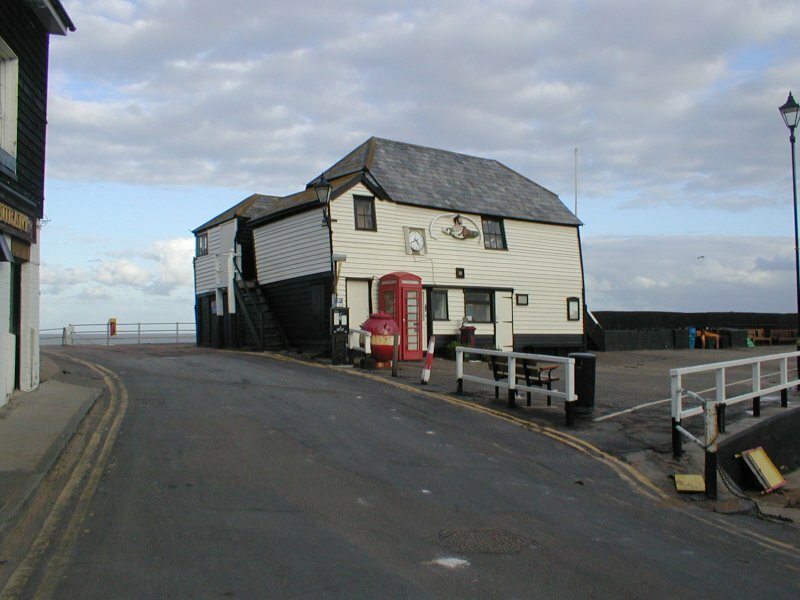 Firstly around Sandwich, then the lovely seaside town of Broadstairs. 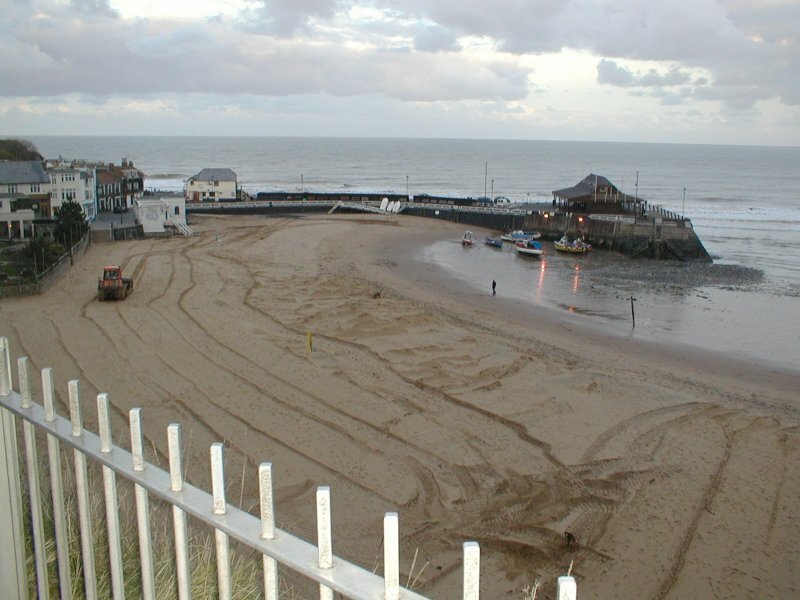 Broadstairs has some great pubs but also a Wonderful beach, Viking Bay, you'll also find a nice small harbour area here. 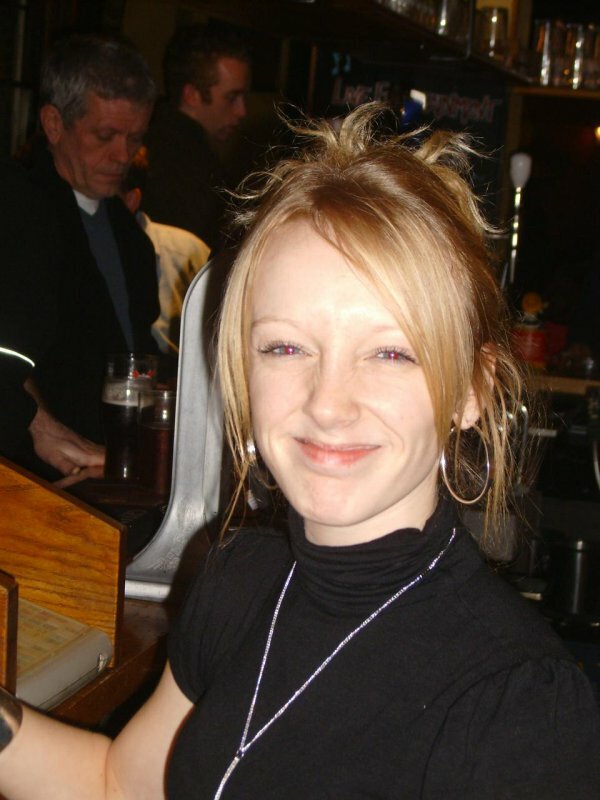 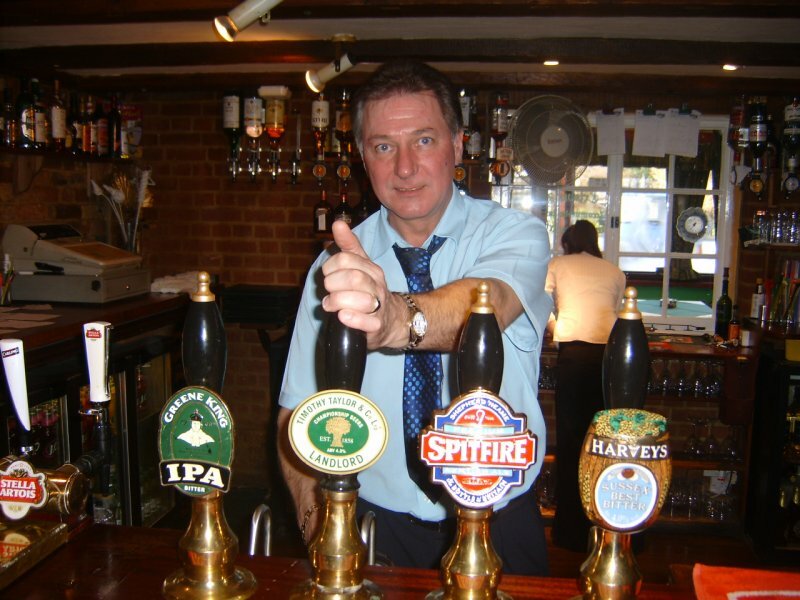 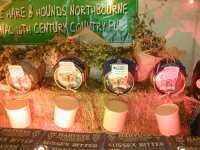 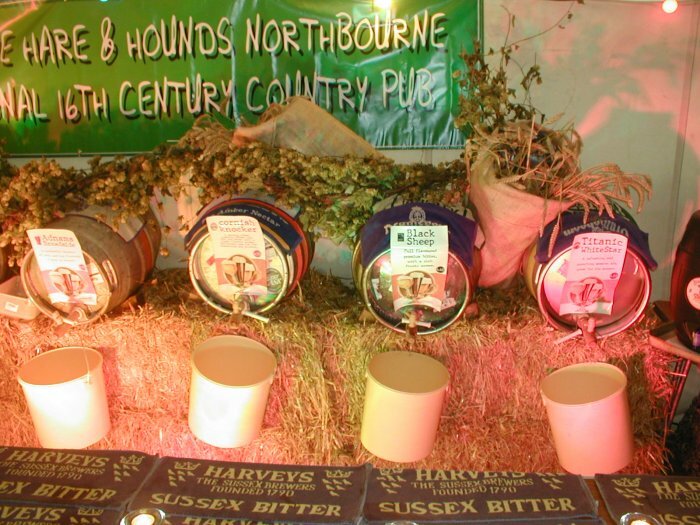 Over the the last Weekend of July, The Hare And Hounds in Northbourne held its yearly beer festival. 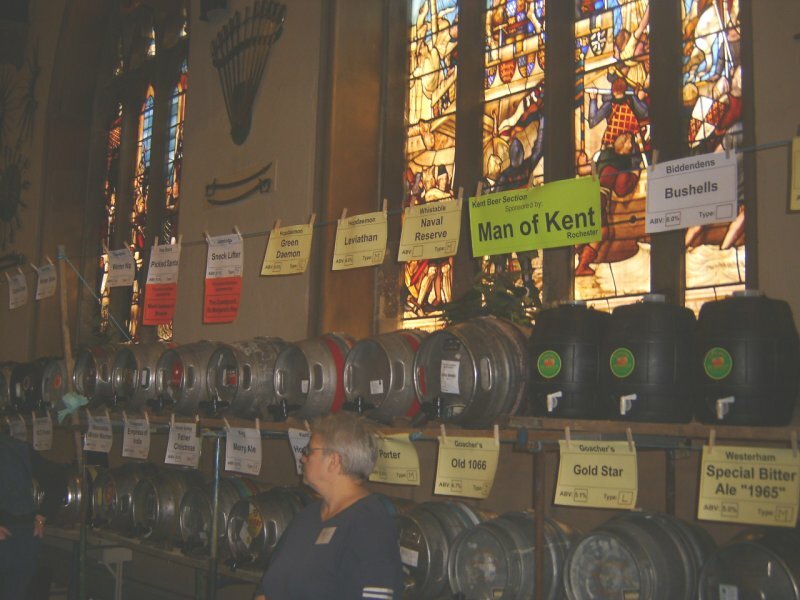 Again this year there was a fine selection of ale's from Kent and around the country. 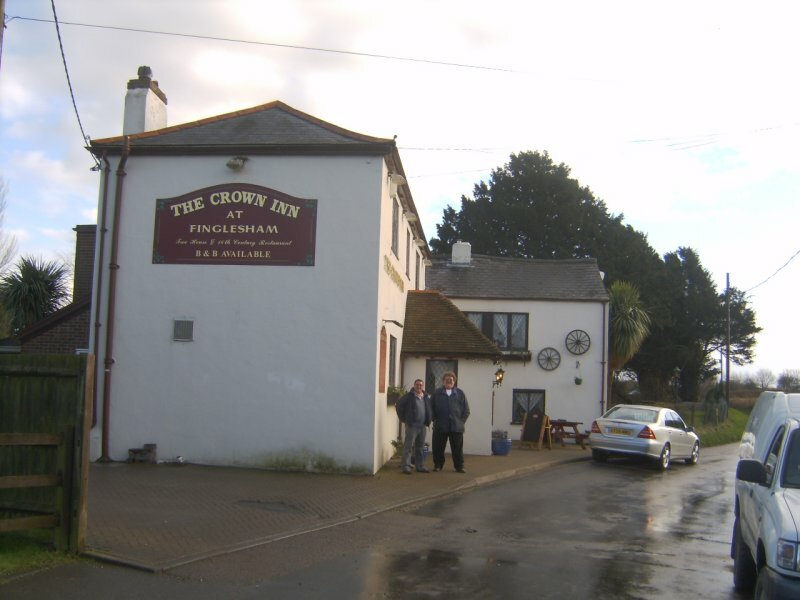 The next Real Ale festival in the area is over the entire August Bank Holiday weekend at The Crown in Fingelsham. 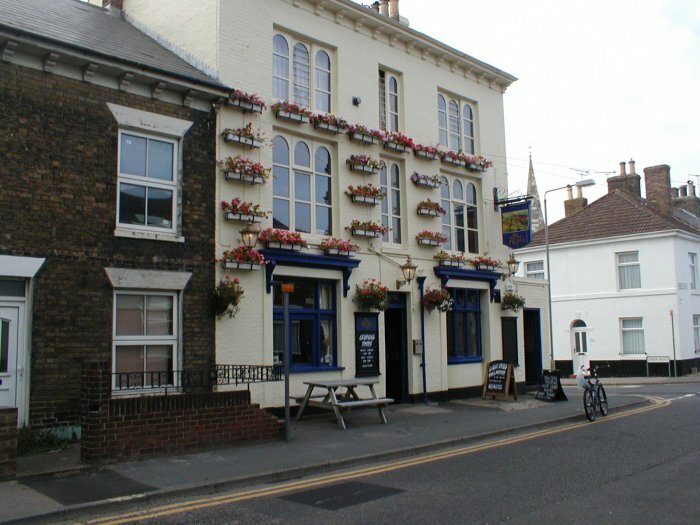 They also have a fund raising day on the Sunday 26th with a 5 a side football tournament, with a Pig roast and fun for the kids including a bouncey castle. 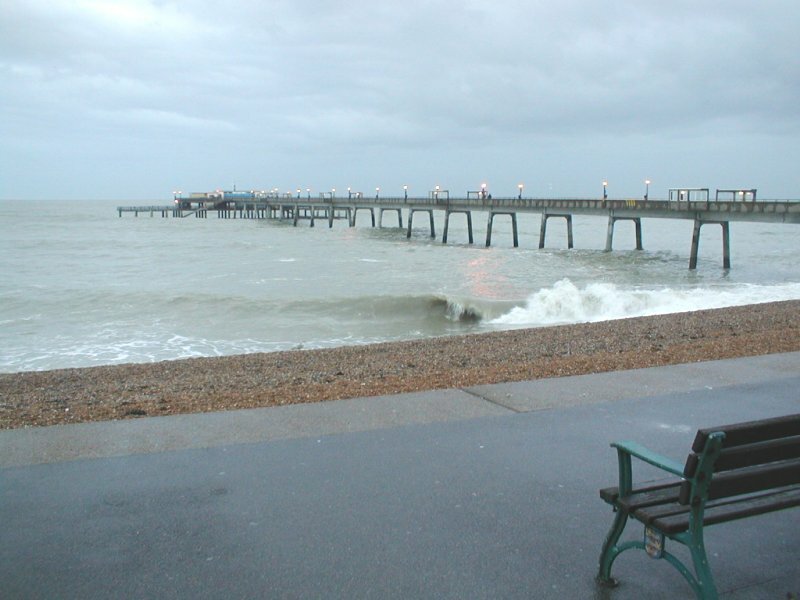 So now it's September, where has this year gone?. 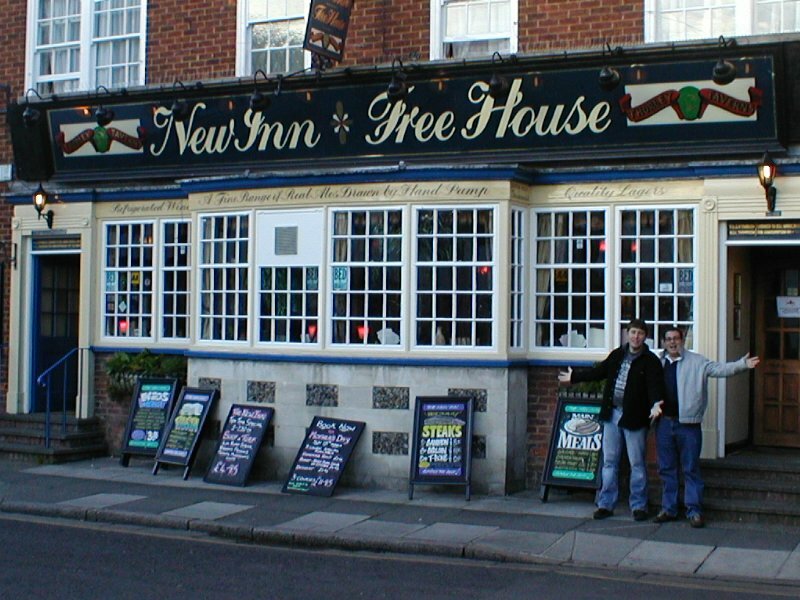 Tom, Kev, Hippy Jeff, Paul, and myself in the first 2 weeks of the month have been to some old haunts and one or two new one's. 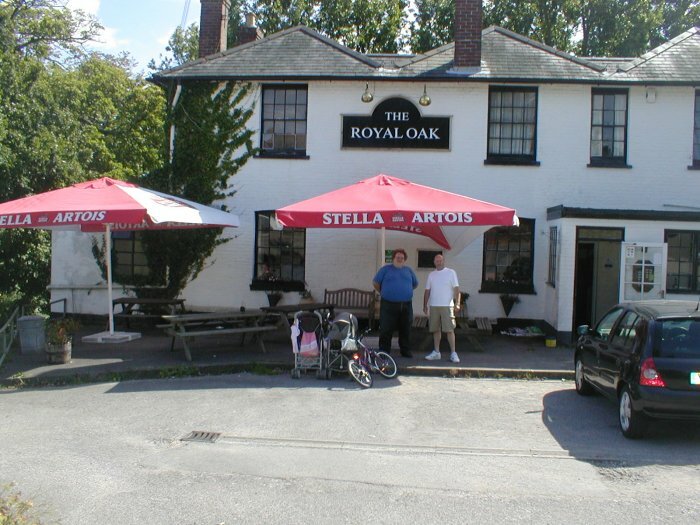 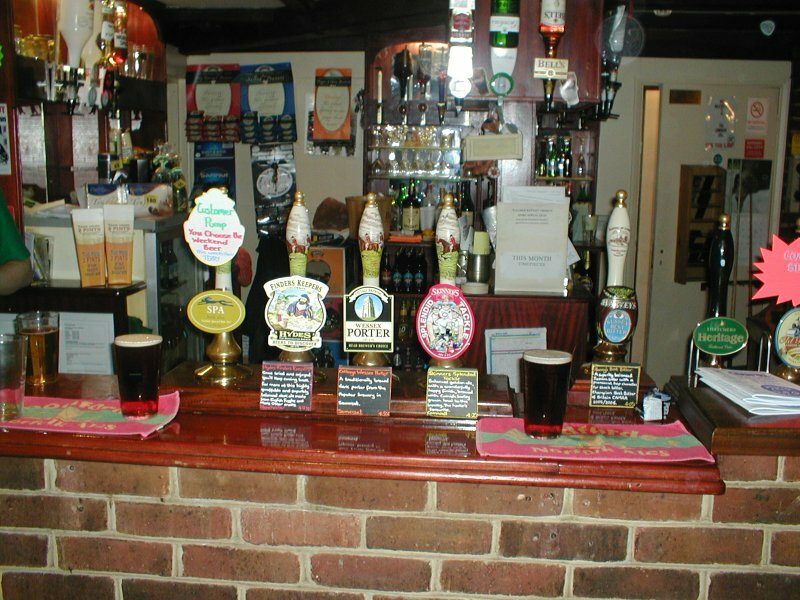 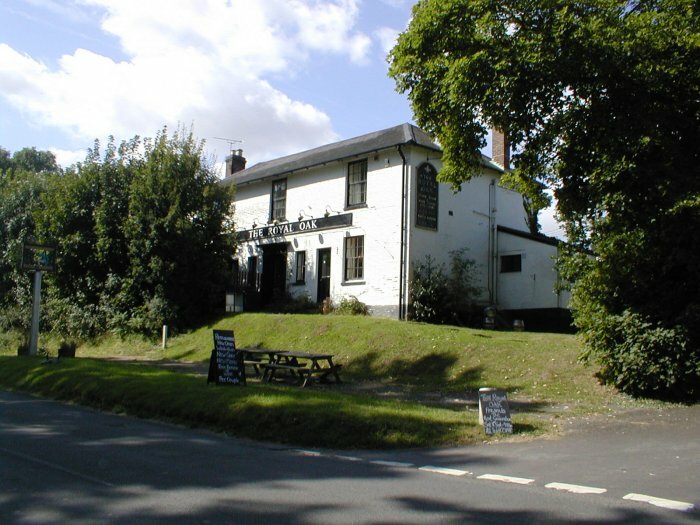 One place we've not been to for almost 5 years was The Royal Oak at Noninigton, this is a very small village about 5 miles off the A2 on the road going towards Sandwich. 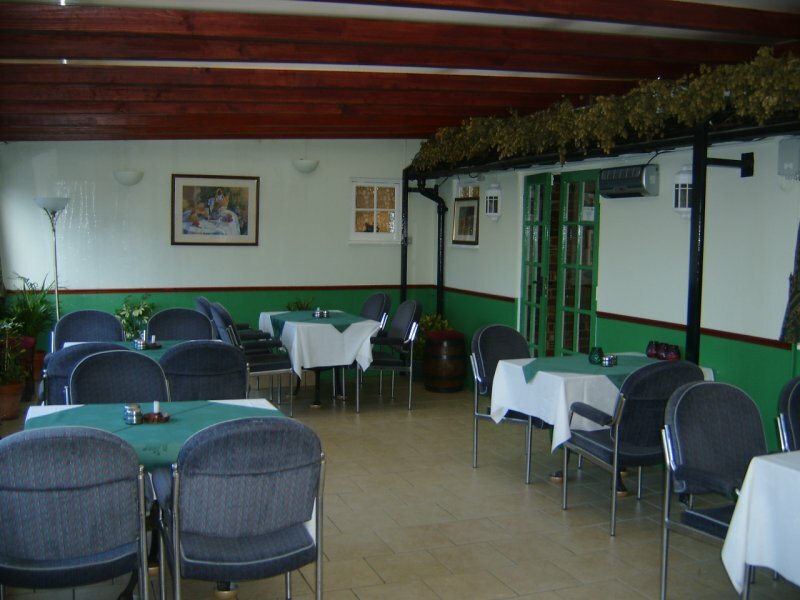 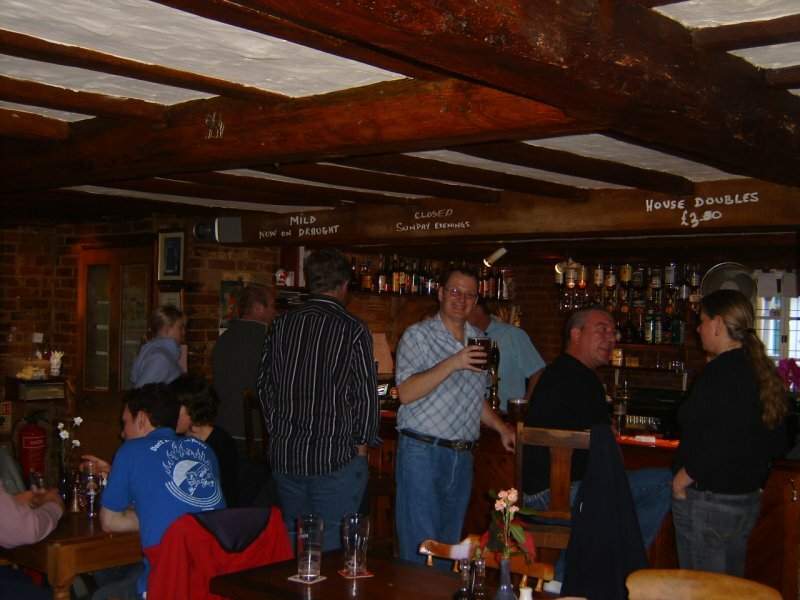 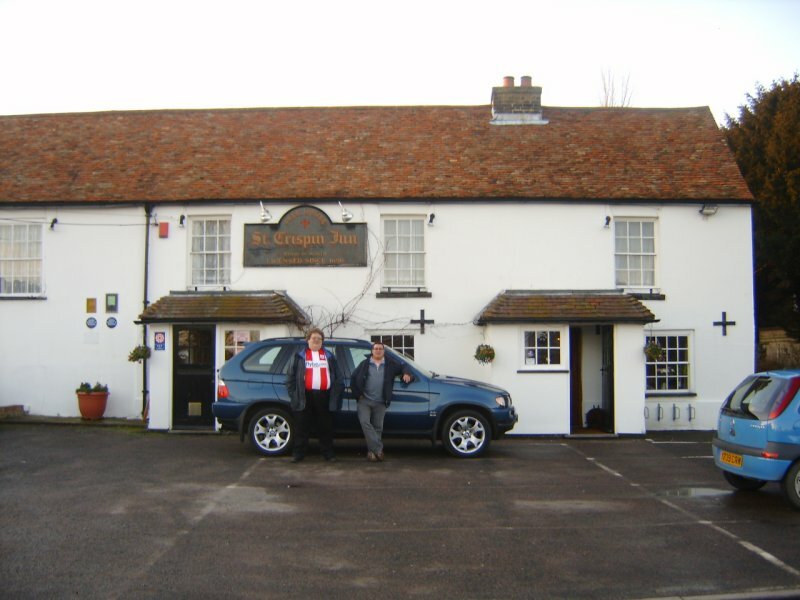 It was a nice visit, friendly pub with some nice real ales and home cooked food. 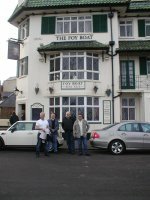 We also went to The Deal Hoy, another of our favourites and was pleased to see the Late Red was on. 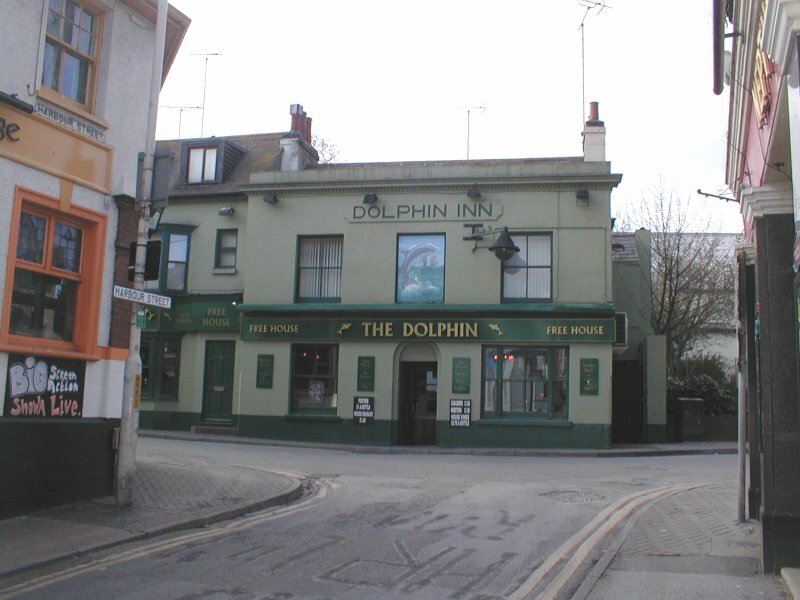 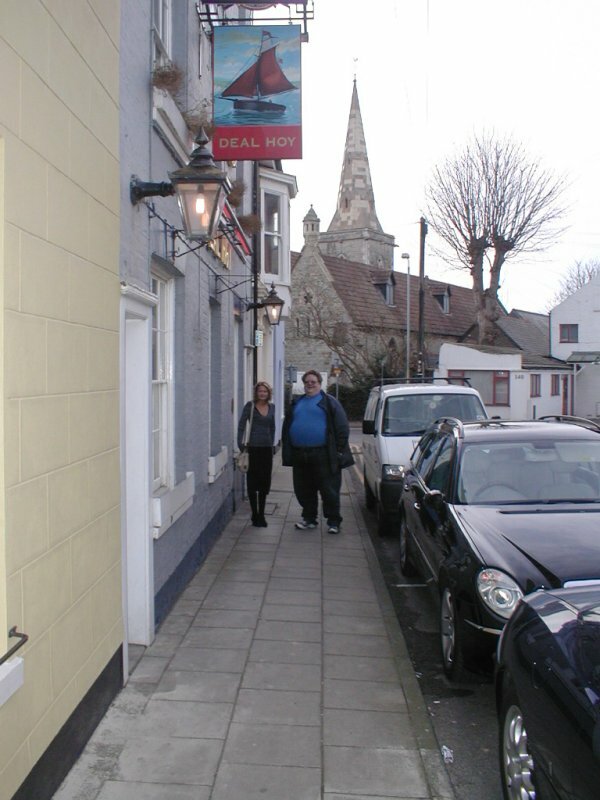 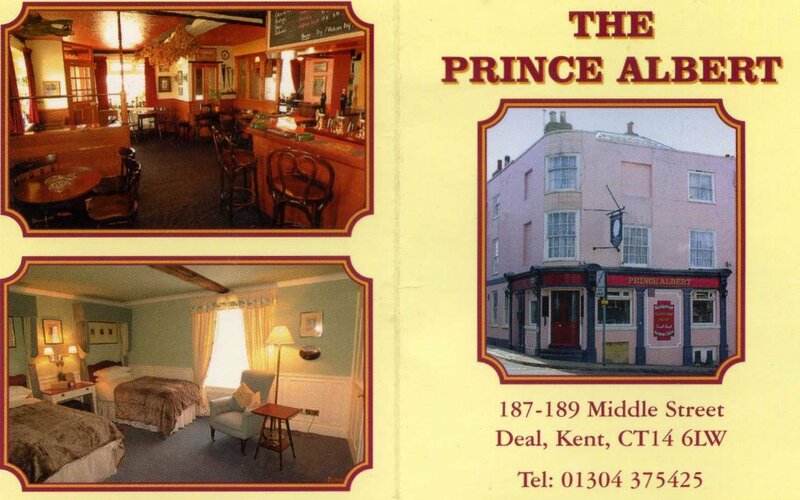 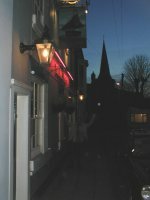 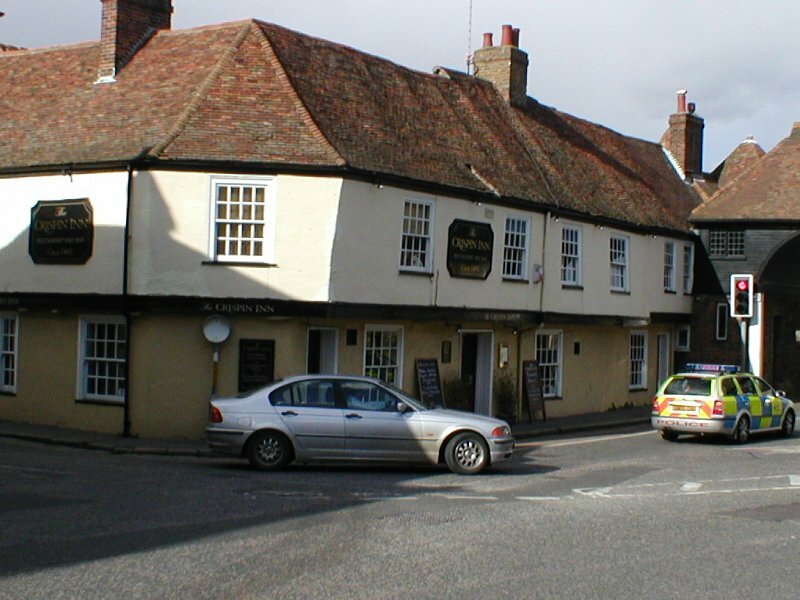 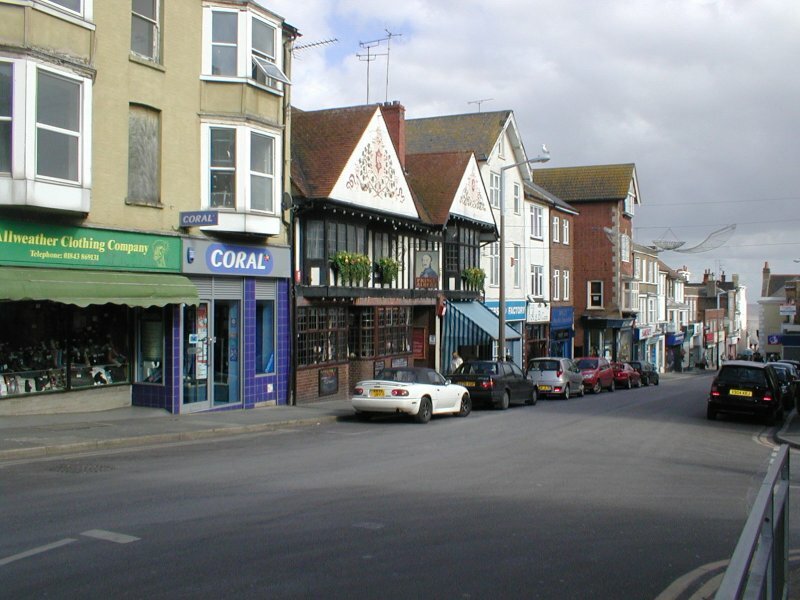 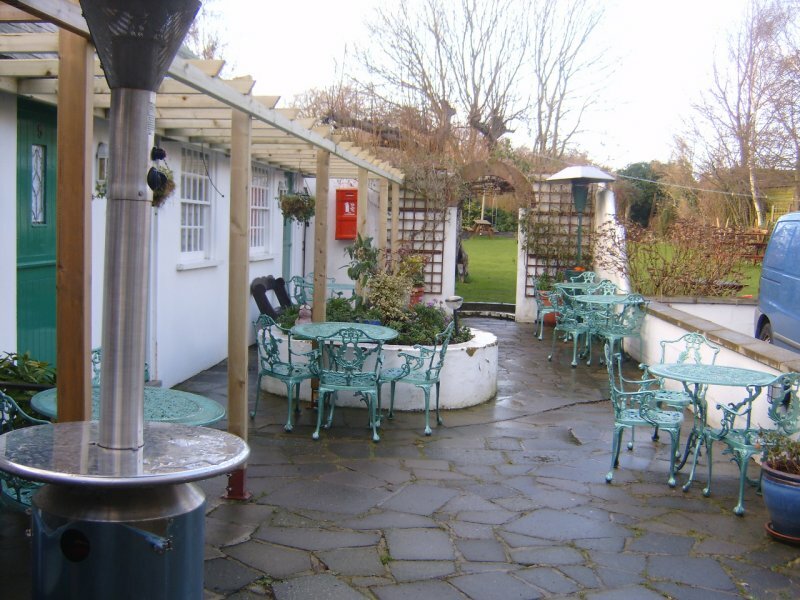 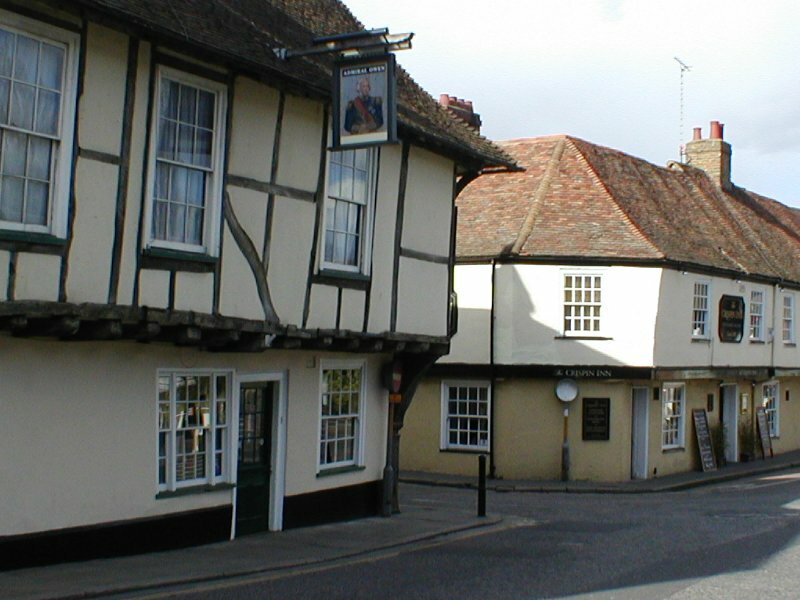 Above is a photo of the Alma pub in Deal. 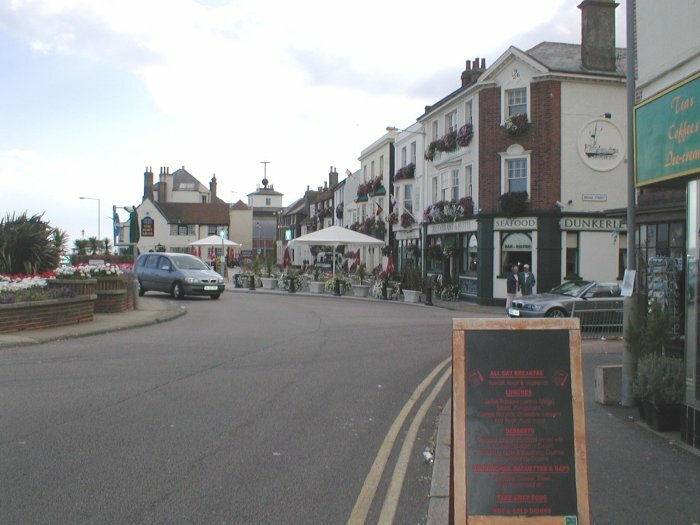 Above centre is a nice area just past the pier in Deal, you can see the Kings Head, Port Arms and Dunkerleys. 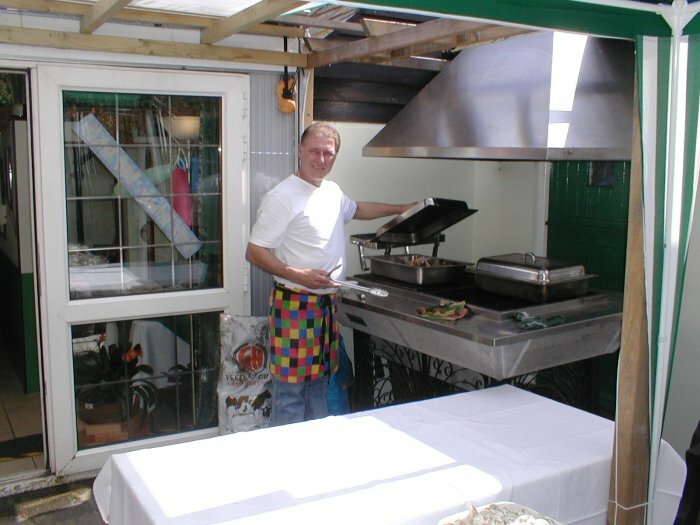 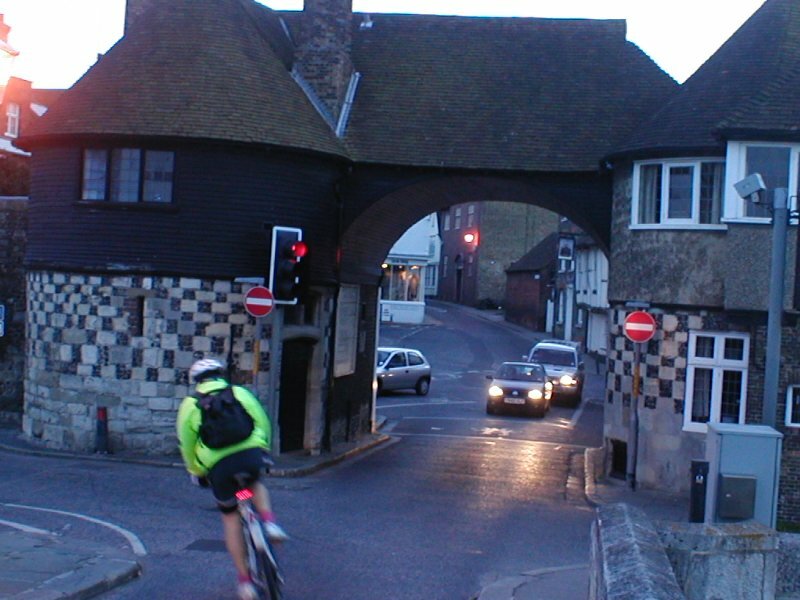 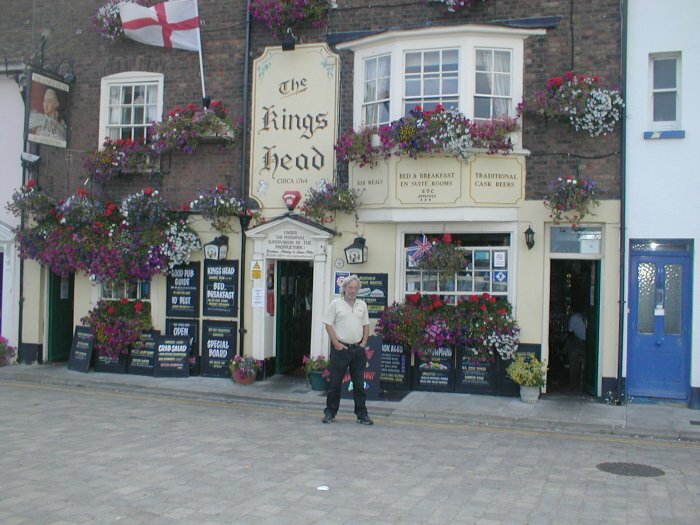 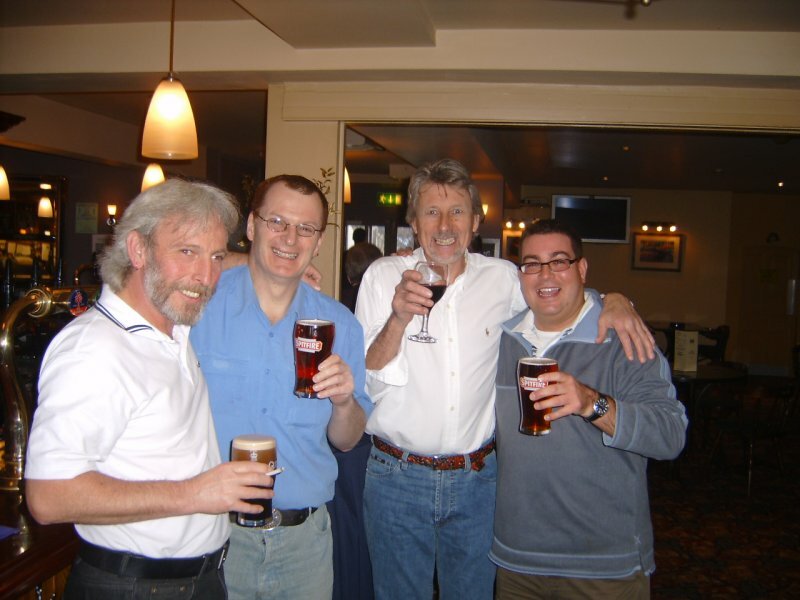 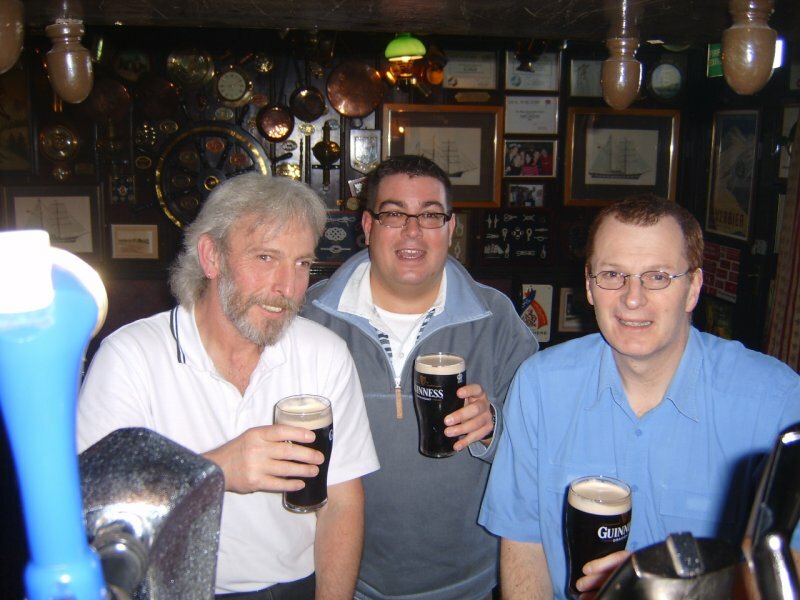 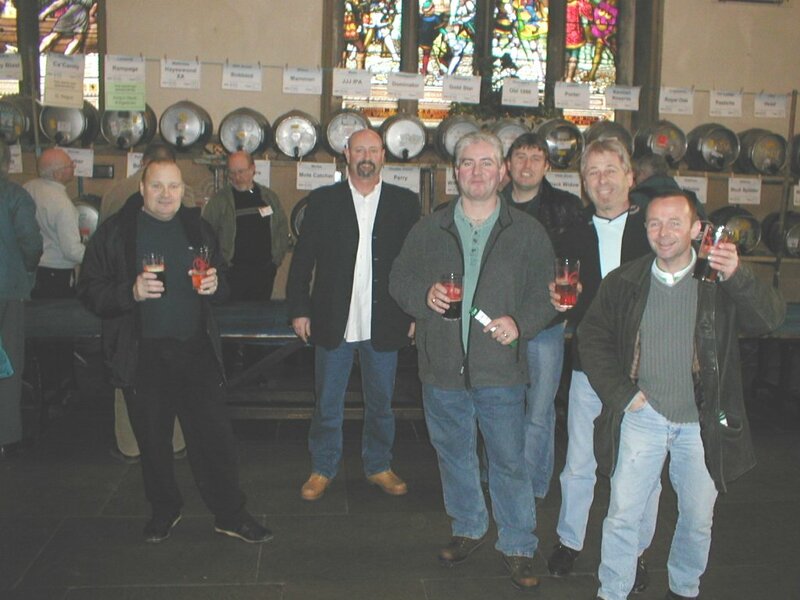 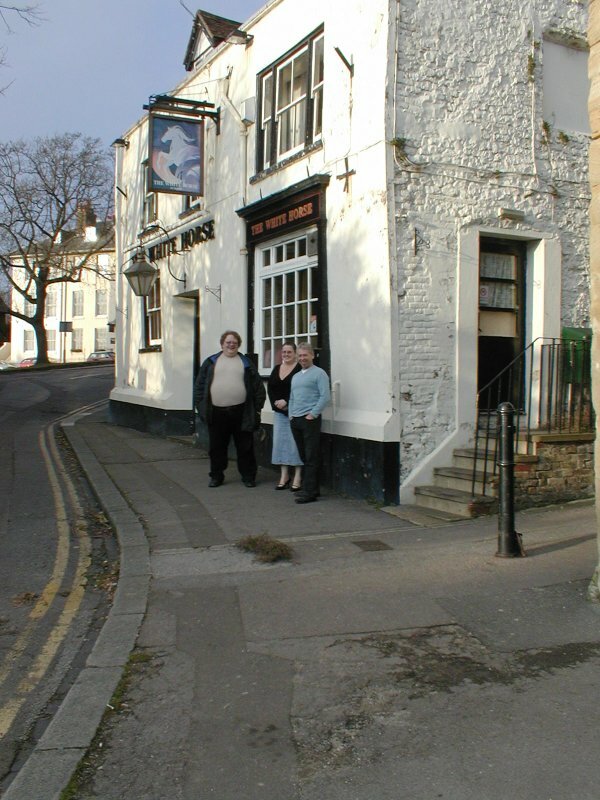 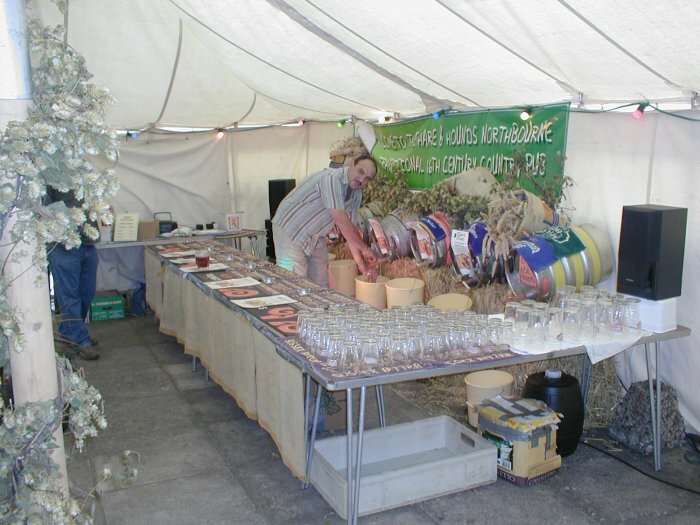 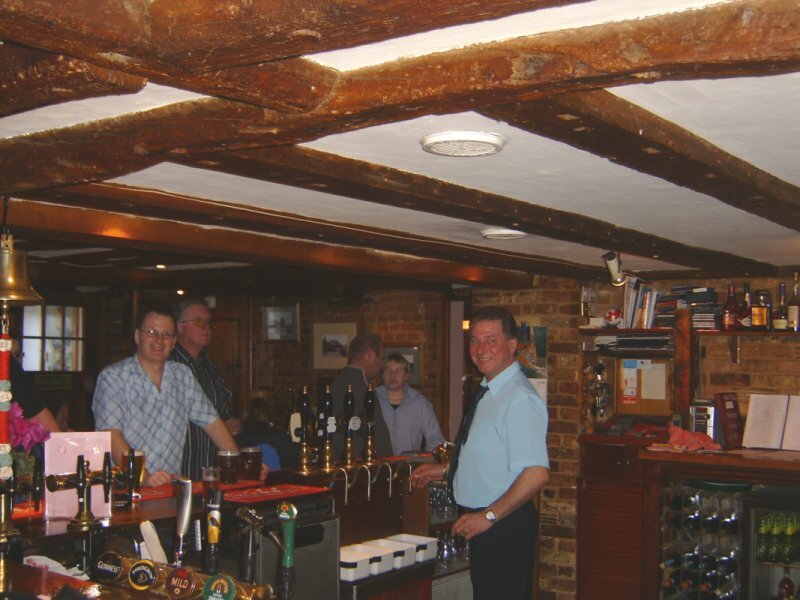 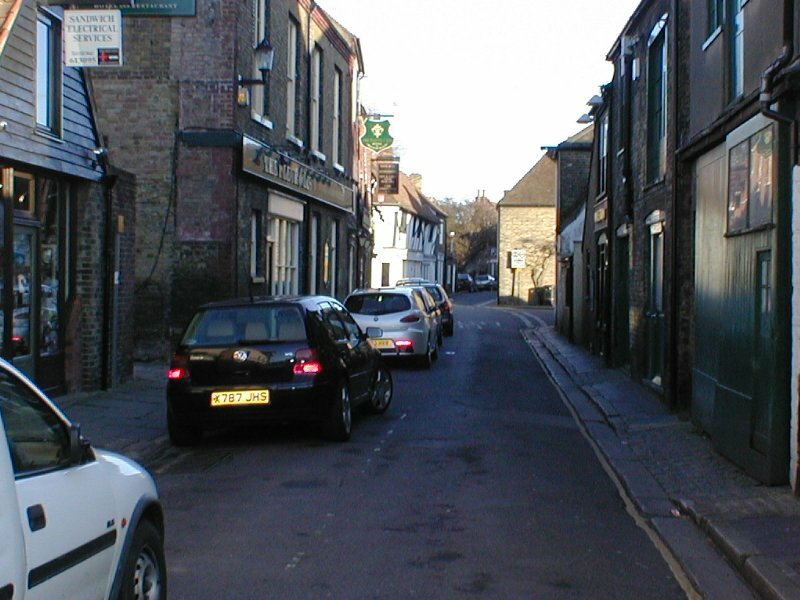 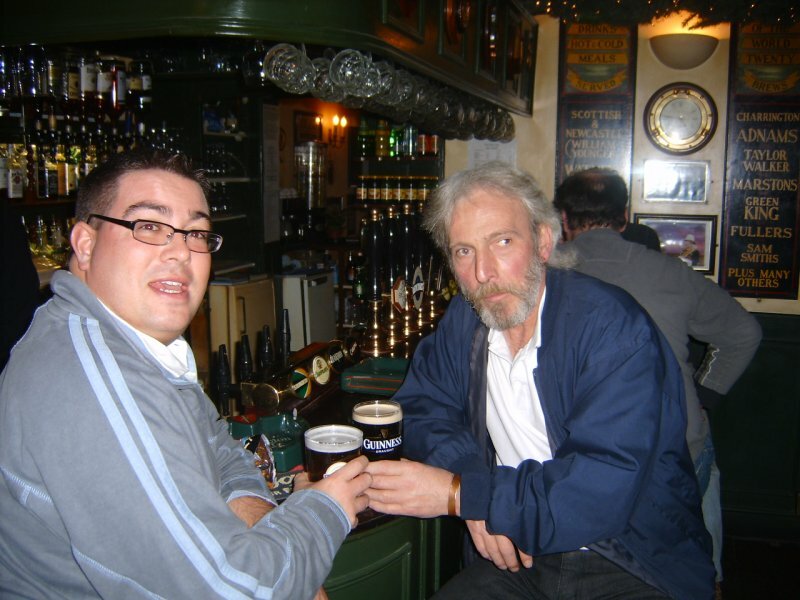 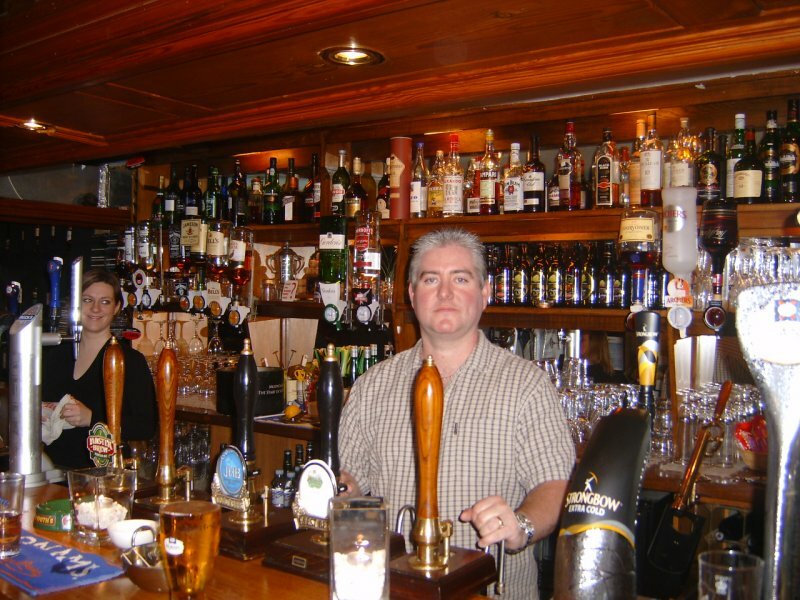 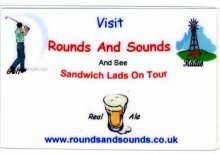 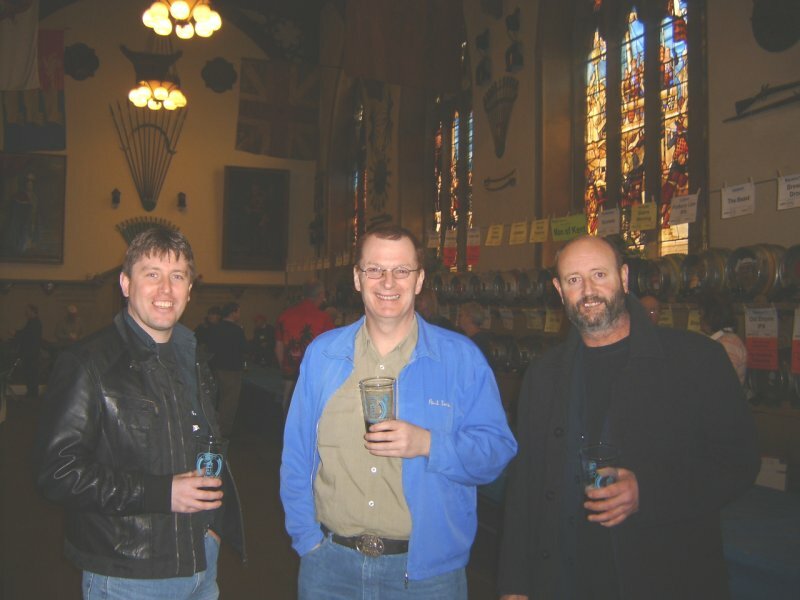 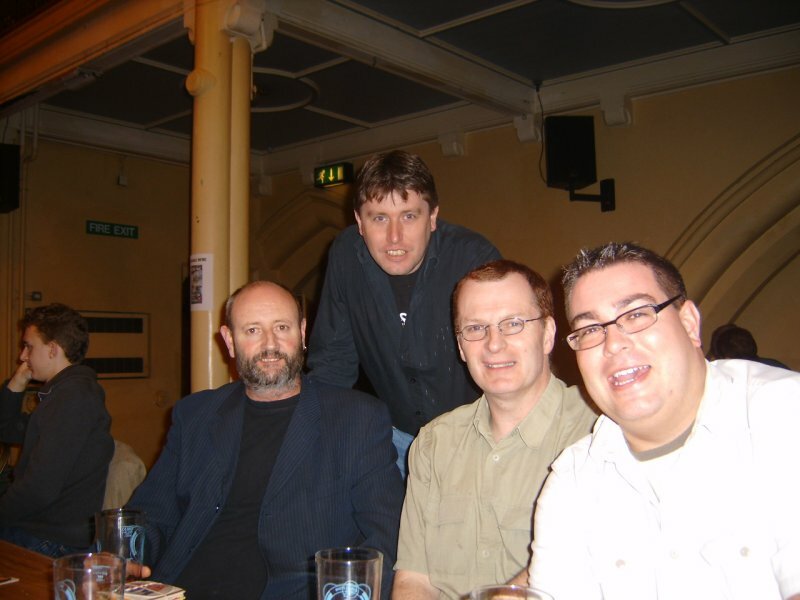 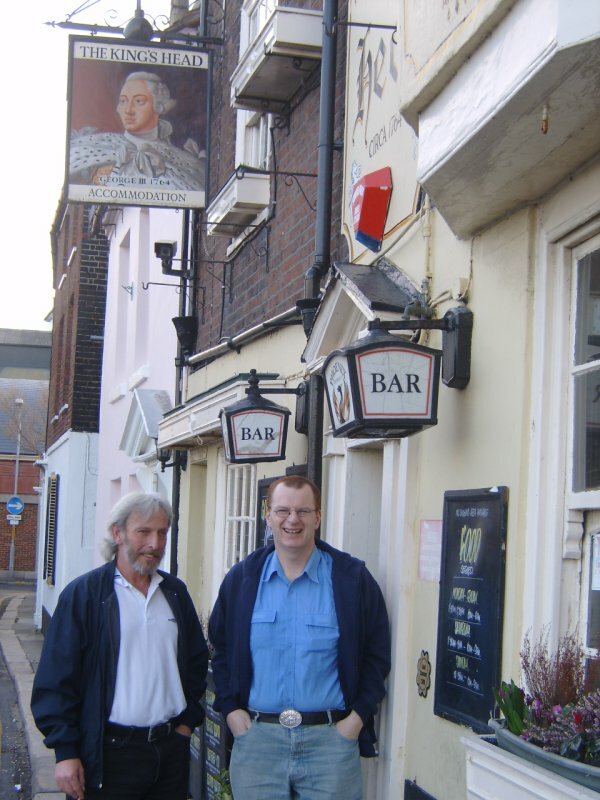 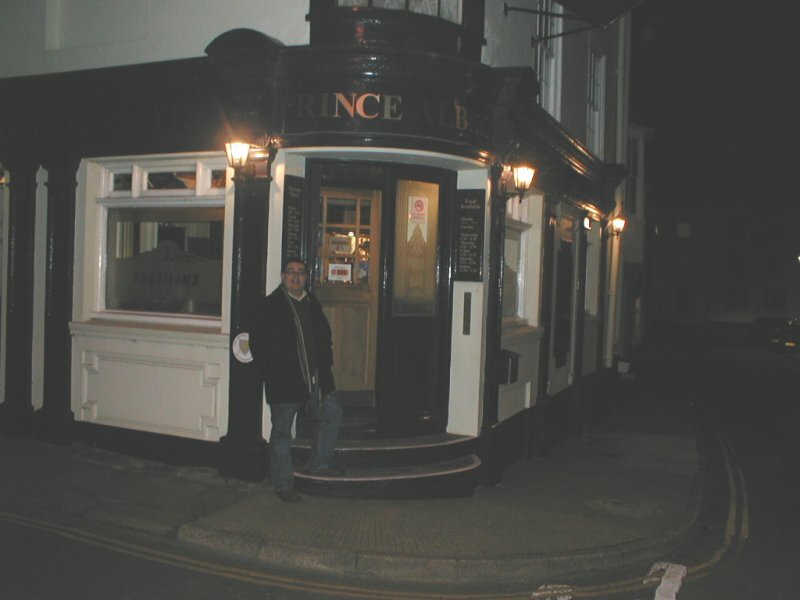 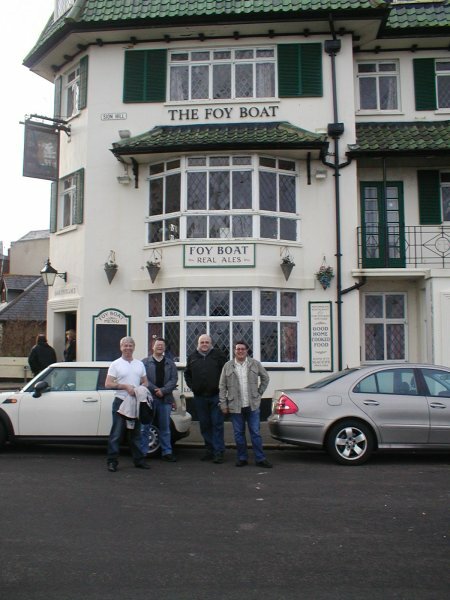 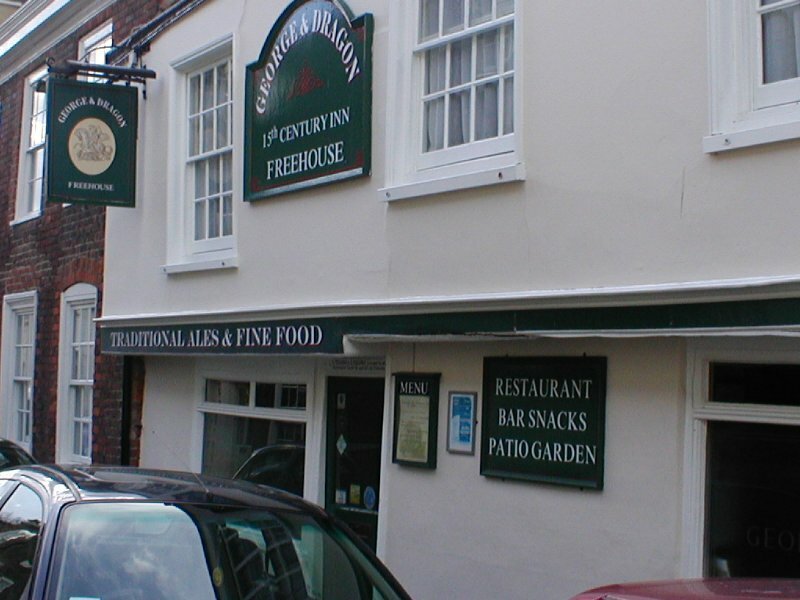 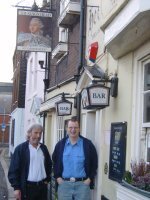 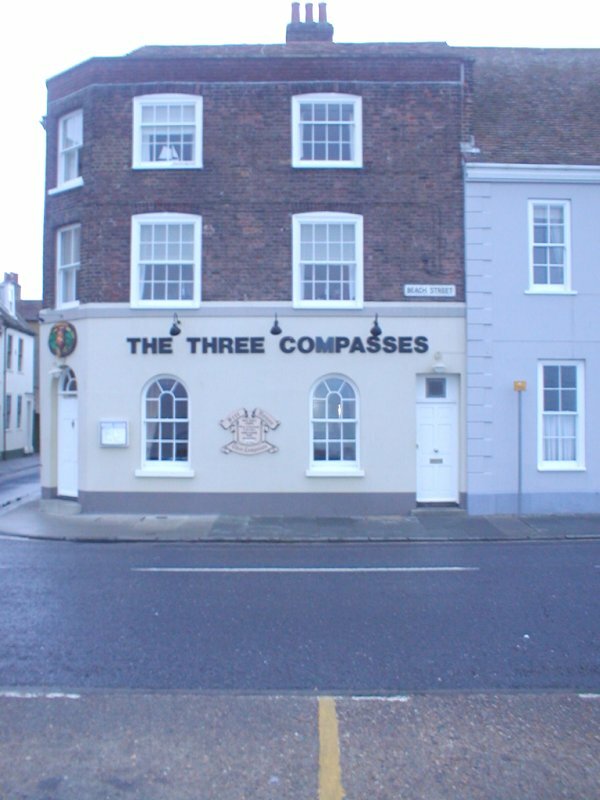 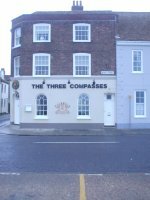 Welcome to our tour page for 2008, as in past years the Sandwich Lads on Tour intend to go out and about and visit not only town pubs and bars, but also out into the country. Thanks to our Driver Kev, who only drinks soft drinks, we can get out most weekends. 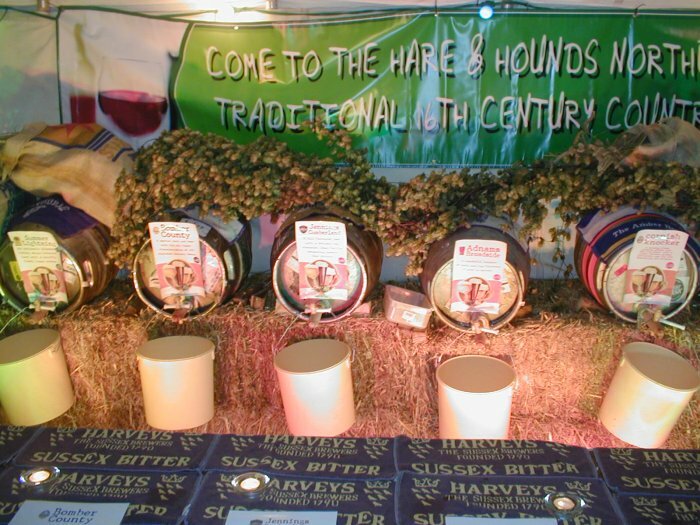 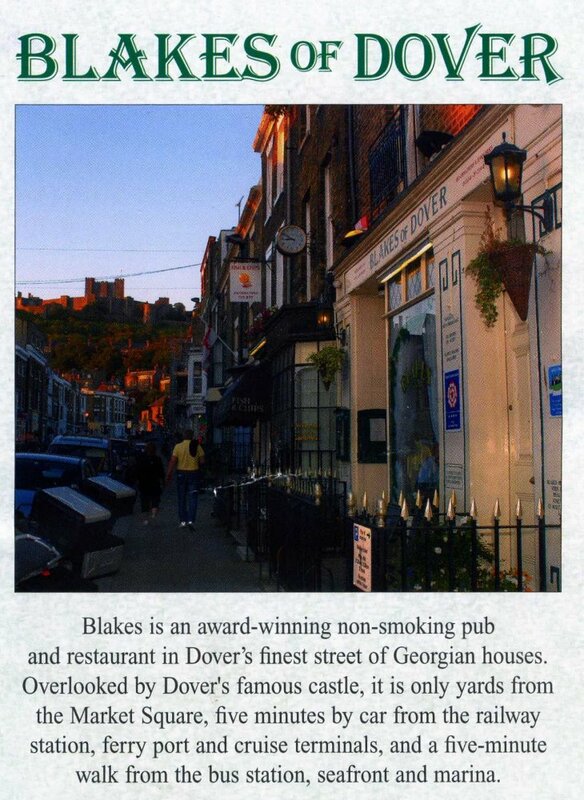 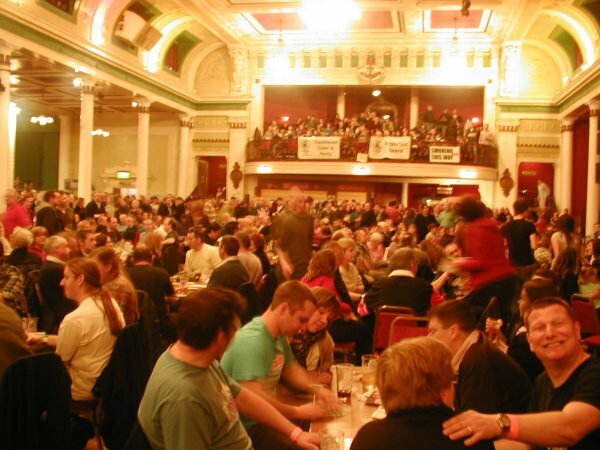 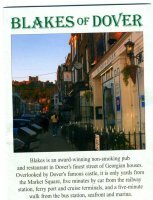 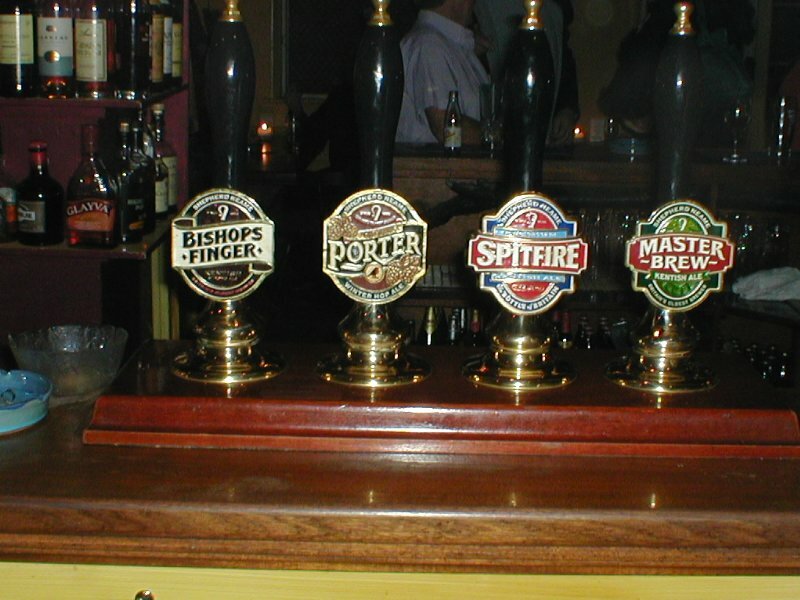 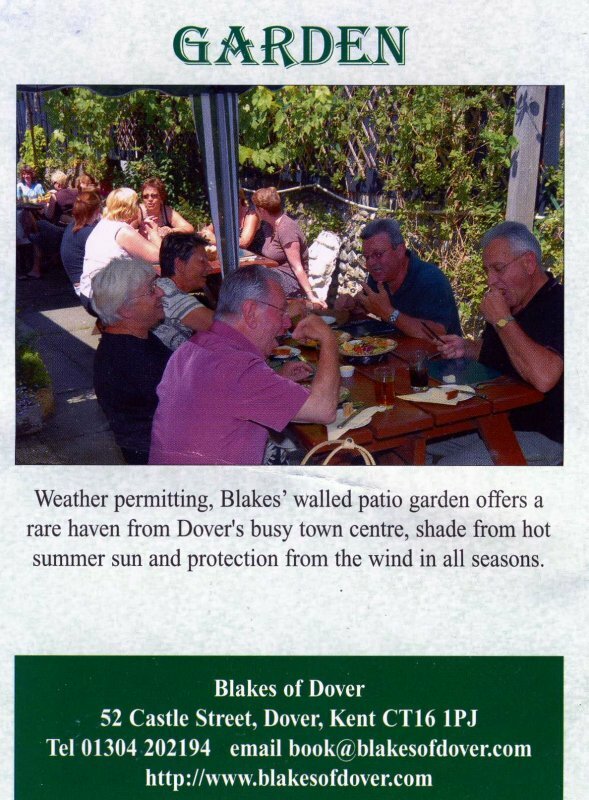 Friday 1st and Saturday 2nd February was the Dover Winters ales Festival, around 70 beers you could choose from. 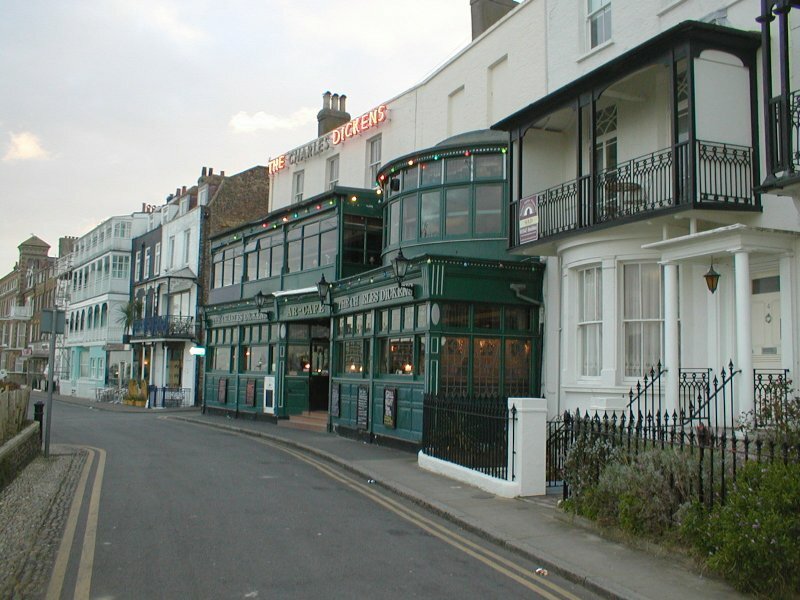 On Wednesday 12th March I took advantage of some holiday time and had another visit to a fine back street pub in Margate, The Northern Belle. 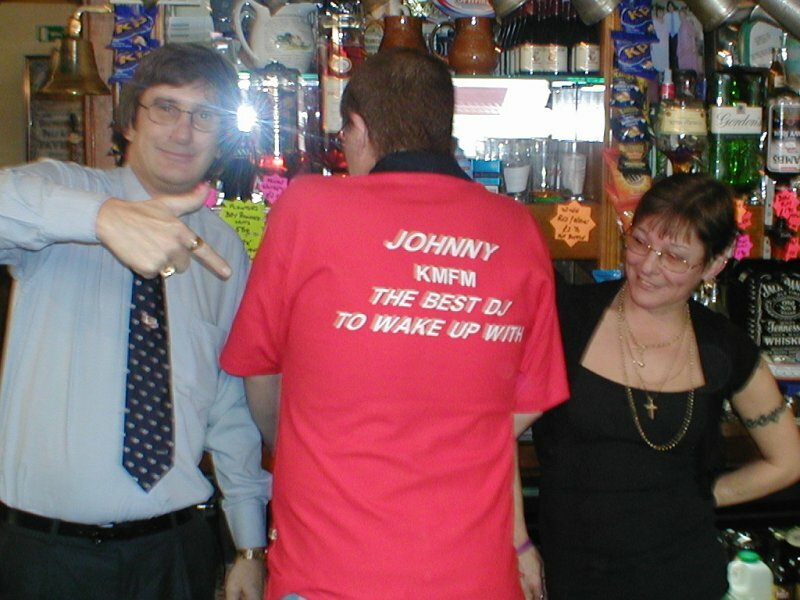 Thanks to Dave and Debbie once again for a great afternoon, and the Tee Shirt. 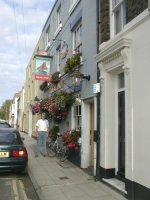 The Belle is another of Sheps Pubs in the area. 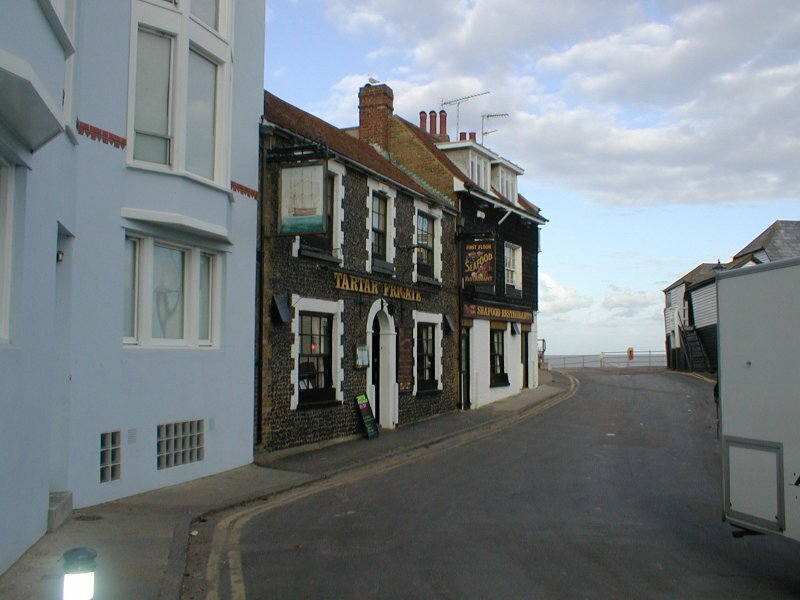 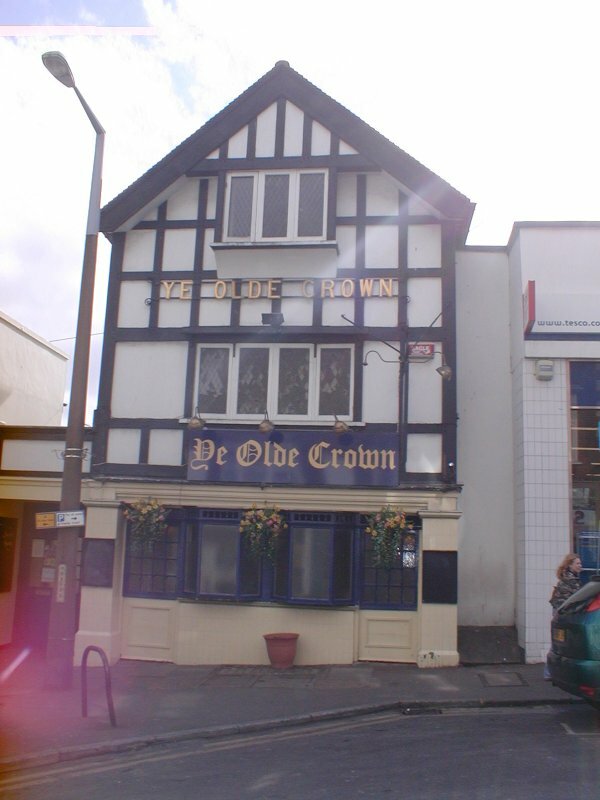 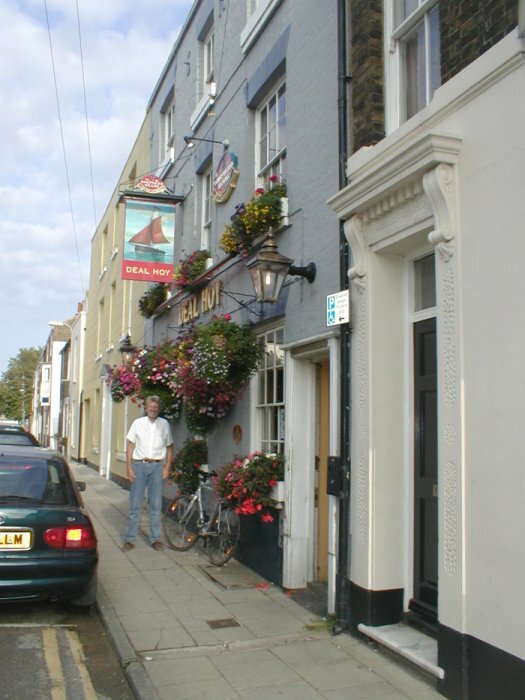 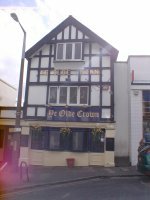 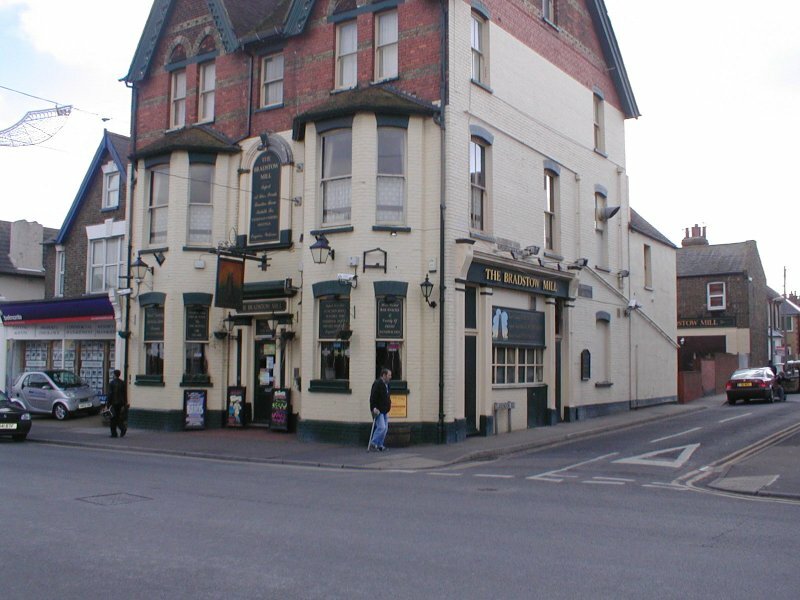 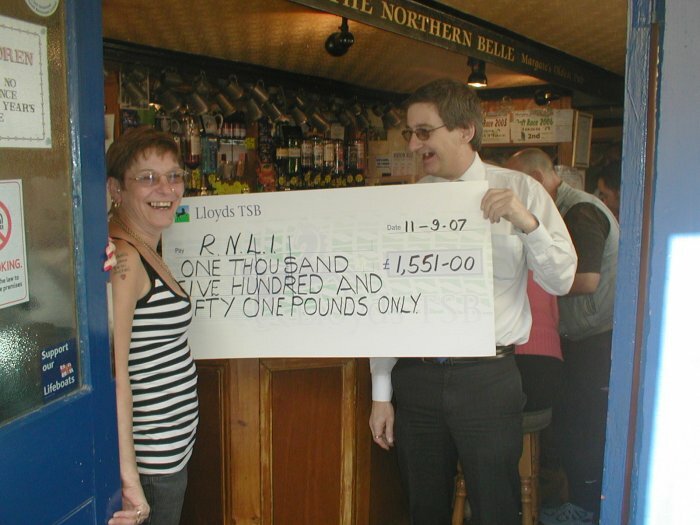 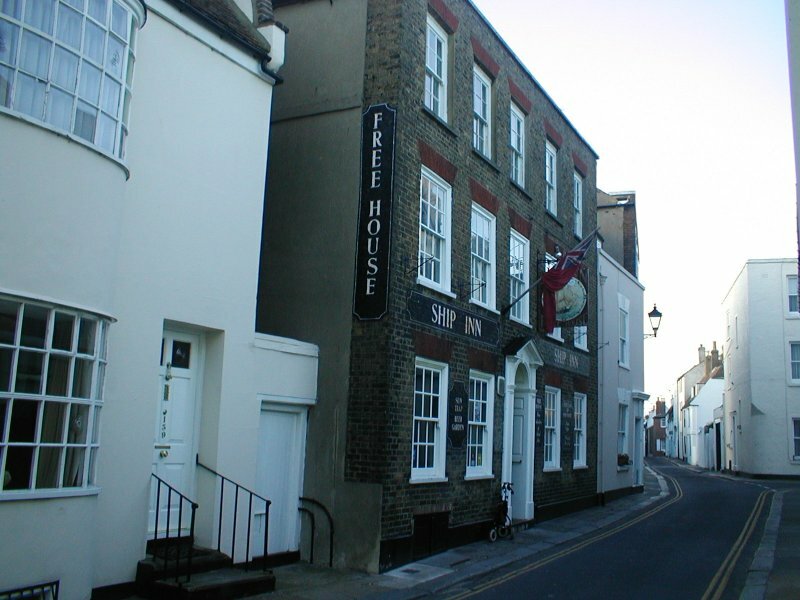 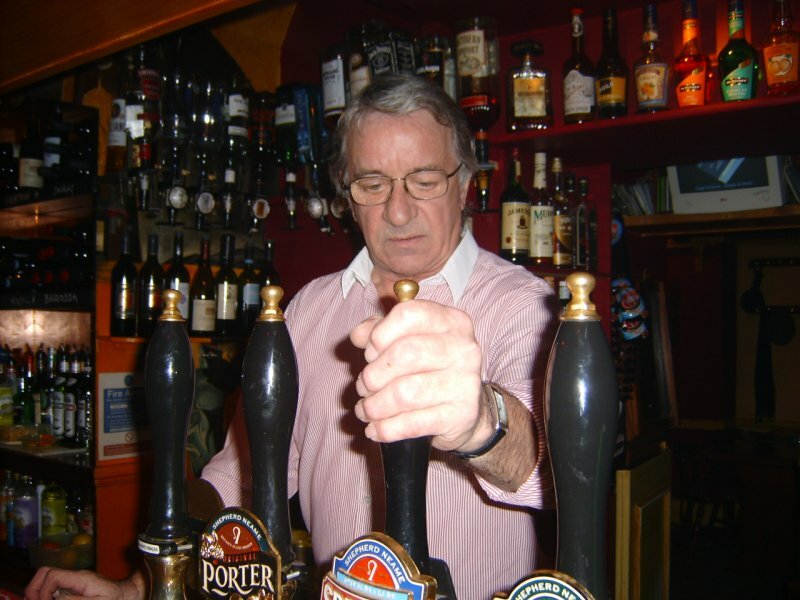 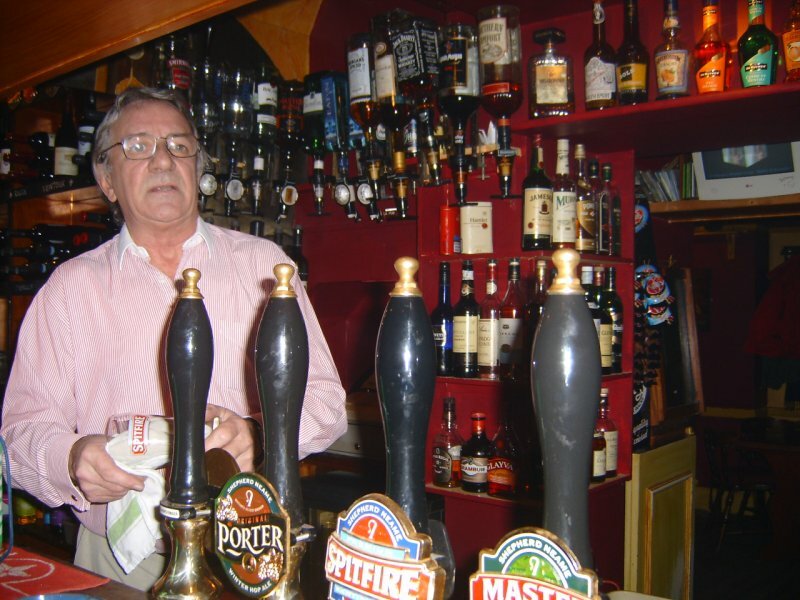 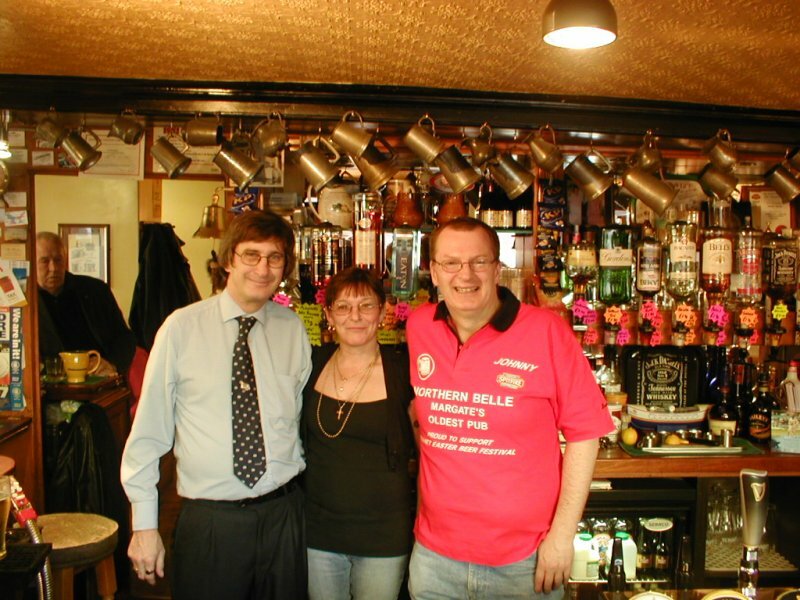 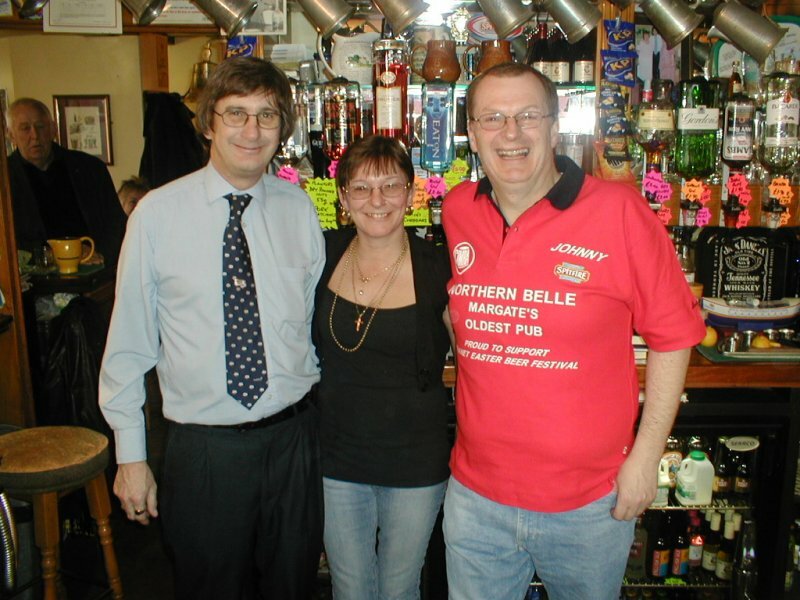 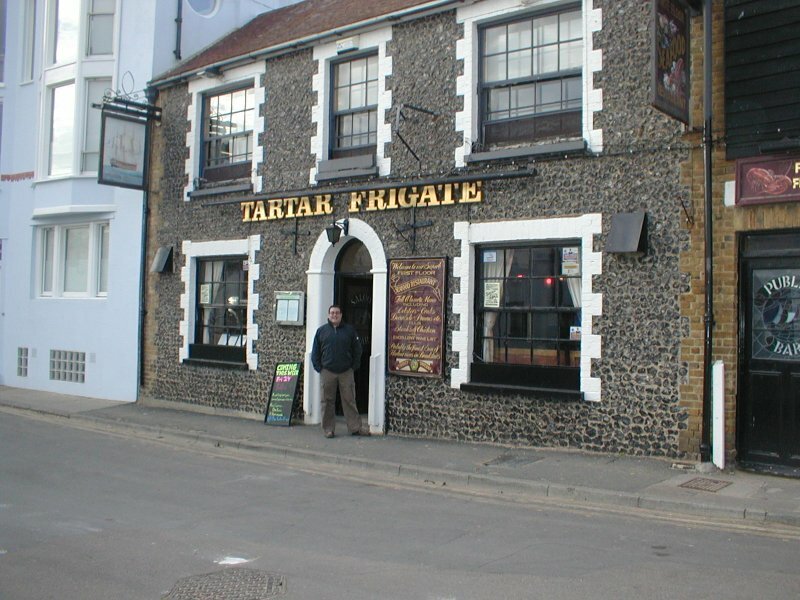 The Northern Belle is Margate's oldest pub and has a great history. 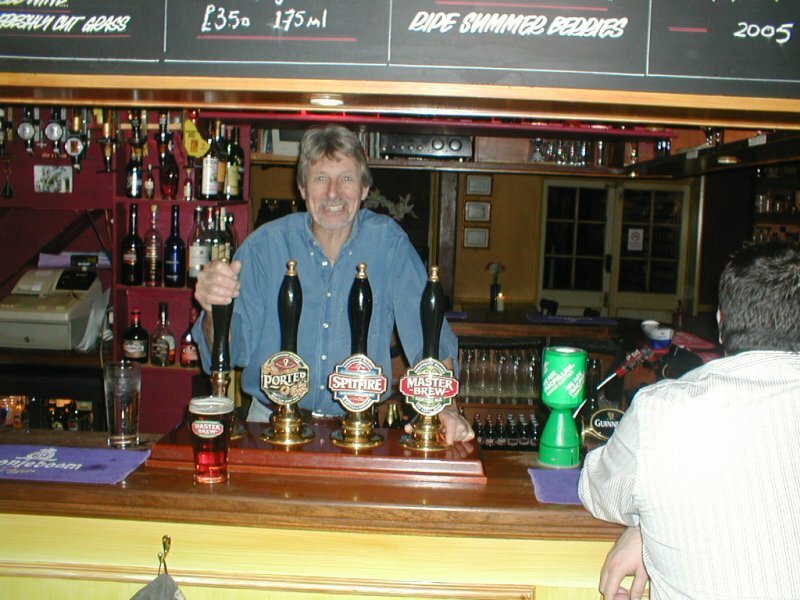 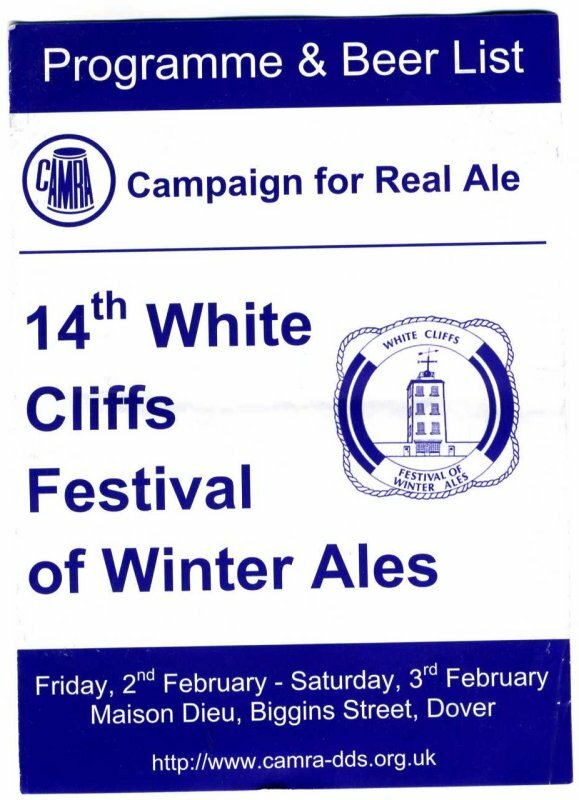 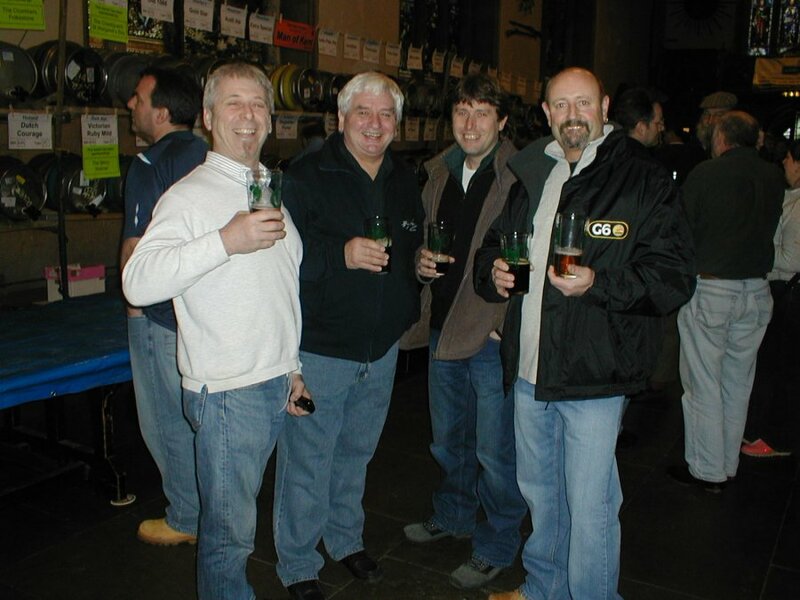 On Friday and Saturday 6th and 7th February in was the Annual White Cliff Winter Ales Festival. 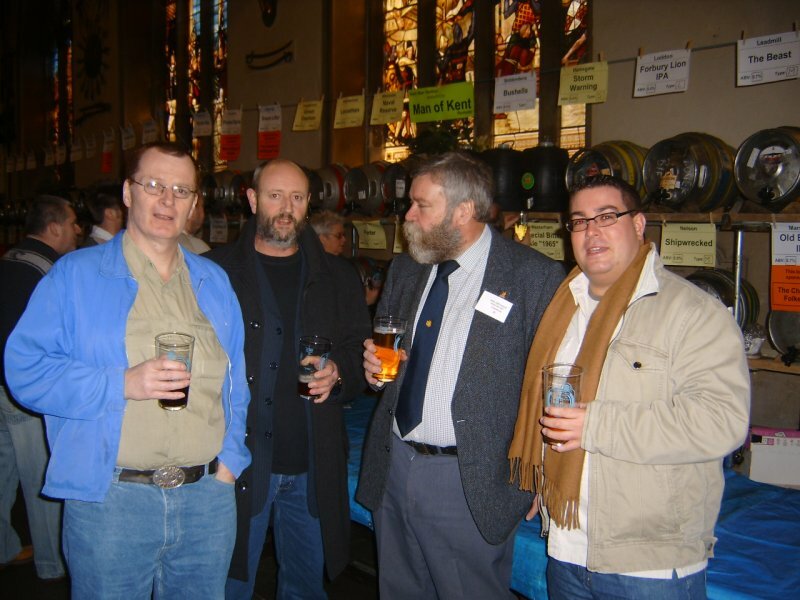 Again this Year it was well organised with over 70 beers from all over the UK. 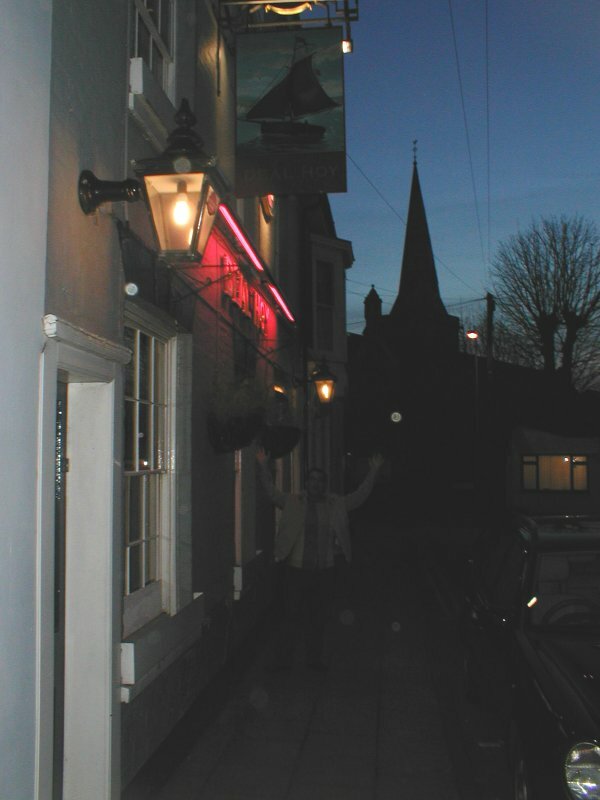 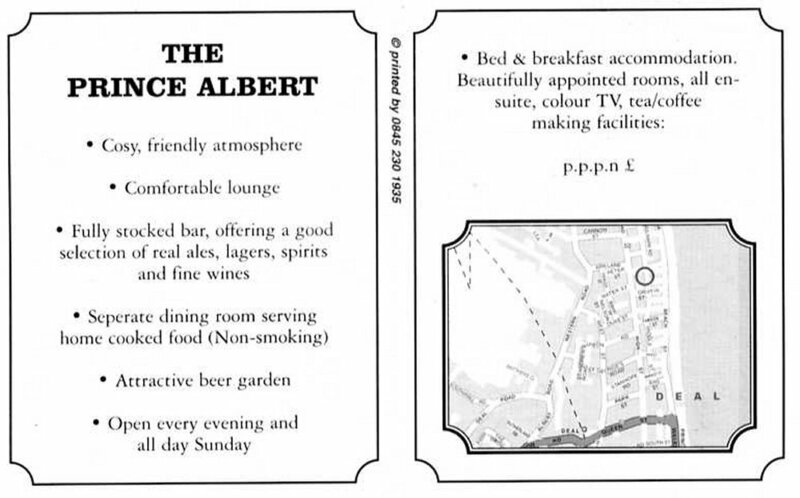 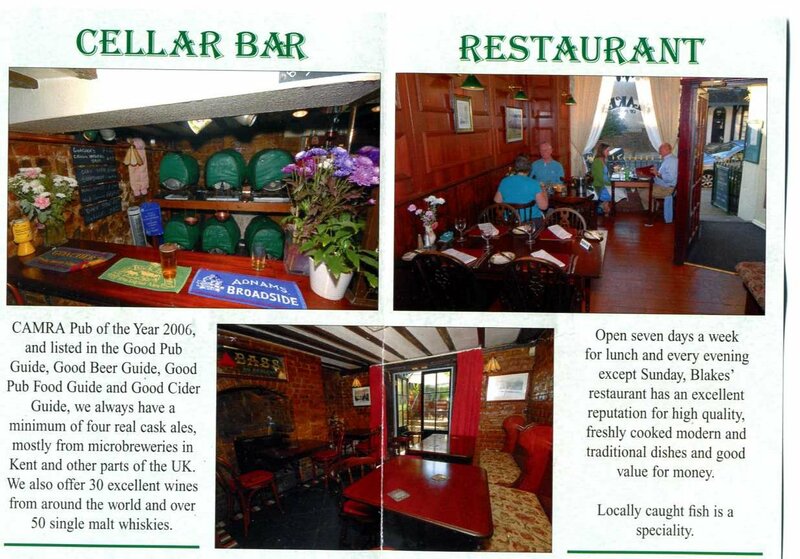 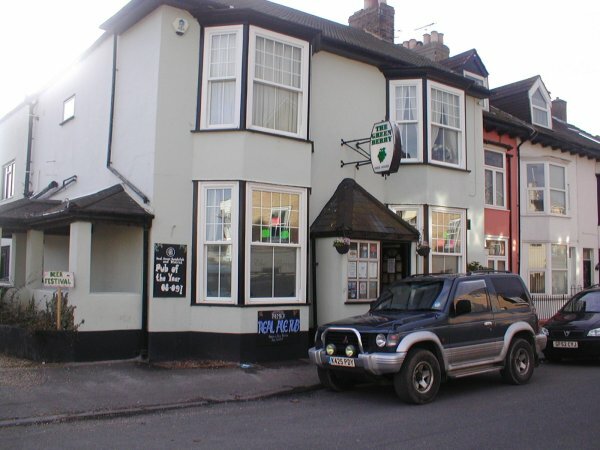 Left is a photo of The Green Berry Main Bar in Canada Road, Deal. 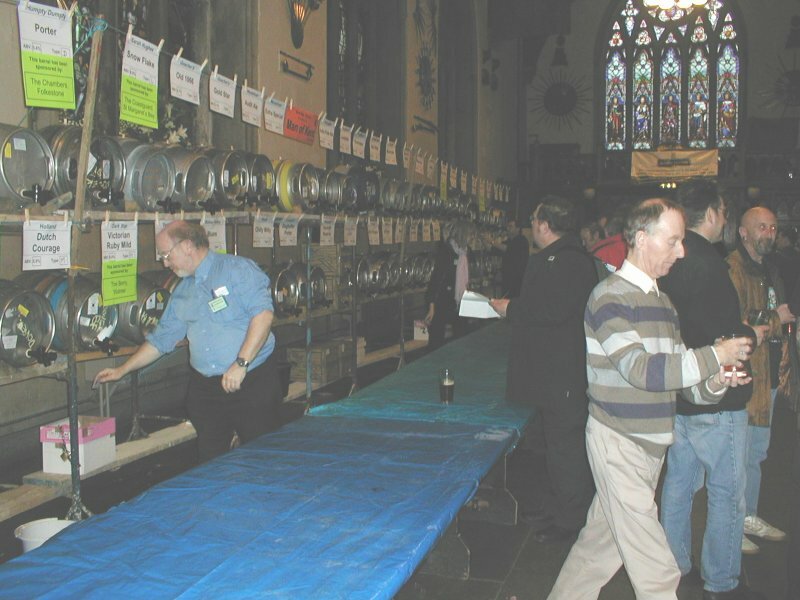 On Good Friday and Easter Saturday it was the Isle of Thanet's 5th Beer Festival, and once again what a great festival it was. The atmosphere was great, the music fantastic and with well over 200 beers and ciders a great time was had by the thousands who came. 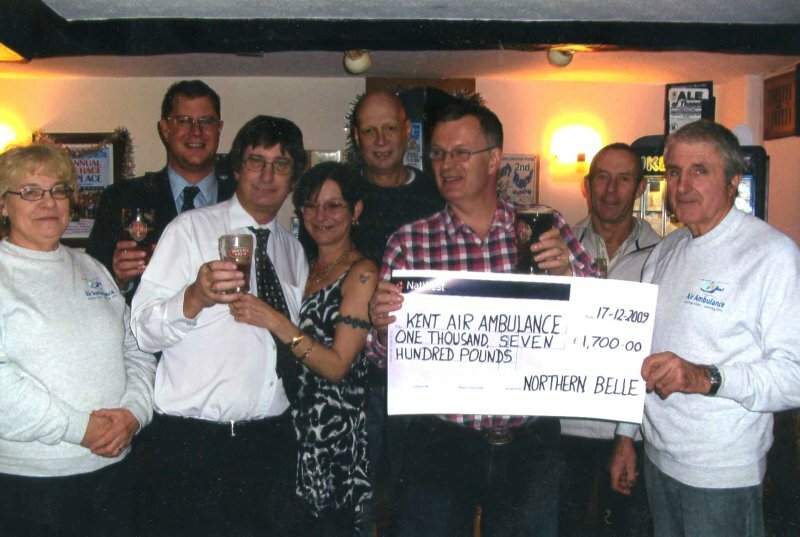 Well done to all who helped make this such a great event. 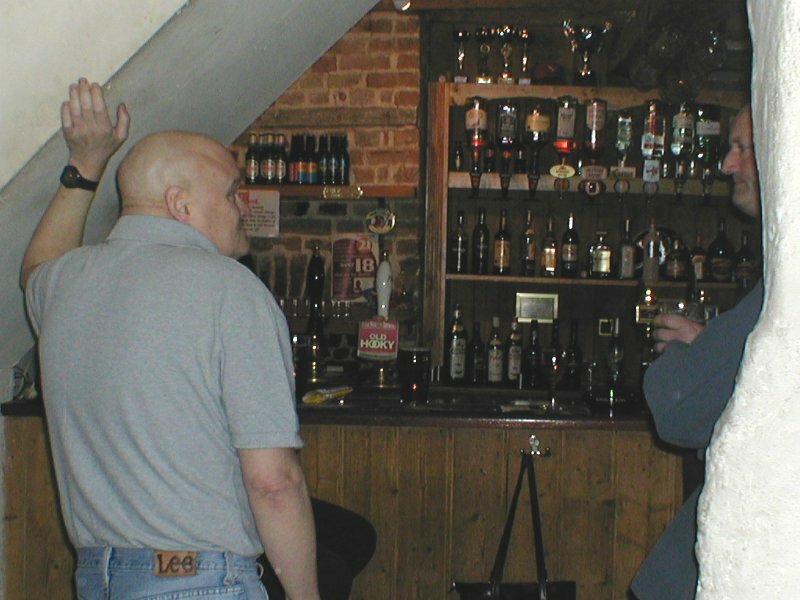 More details can be found on the local Campaign for Real Ale website at www.camra-dds.org.uk. 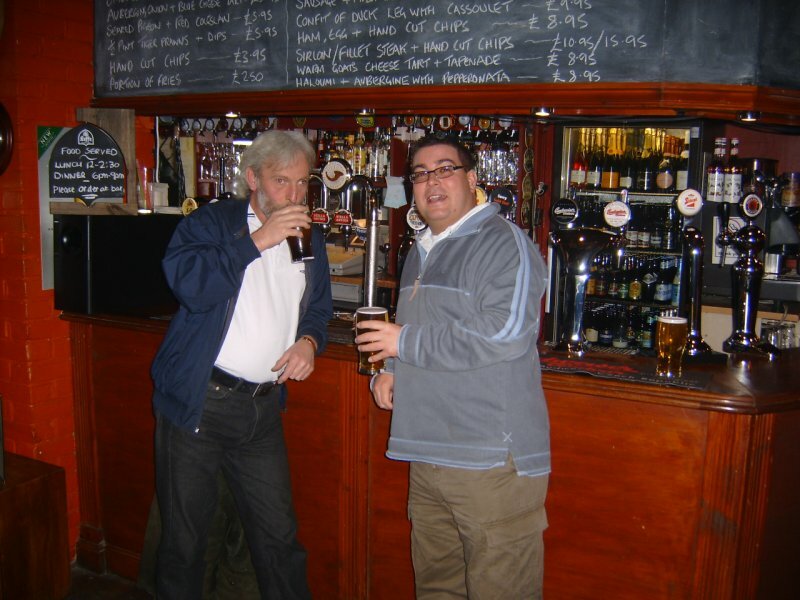 Our Real Ale Trail is now up and running.